Huge Gallery at the end! 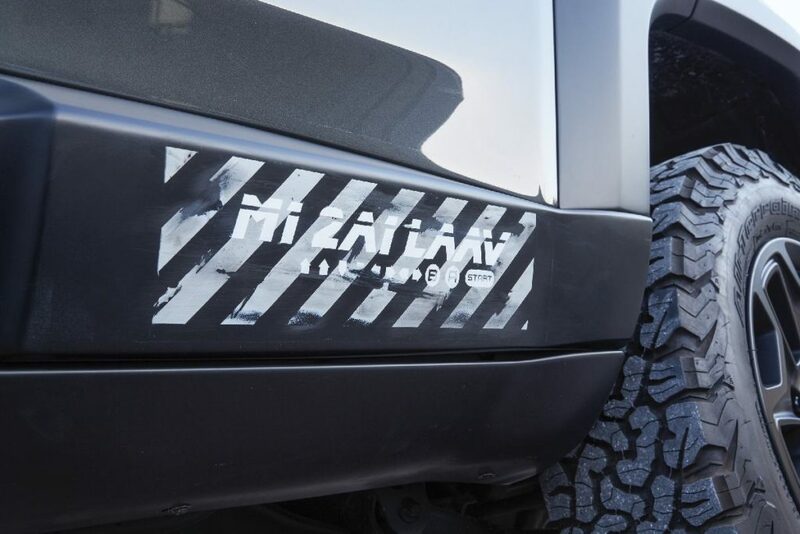 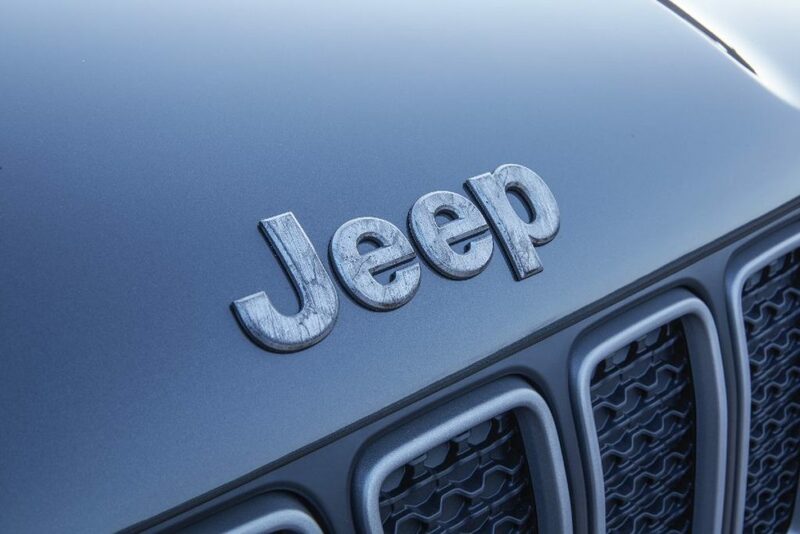 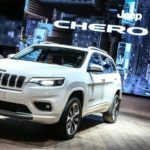 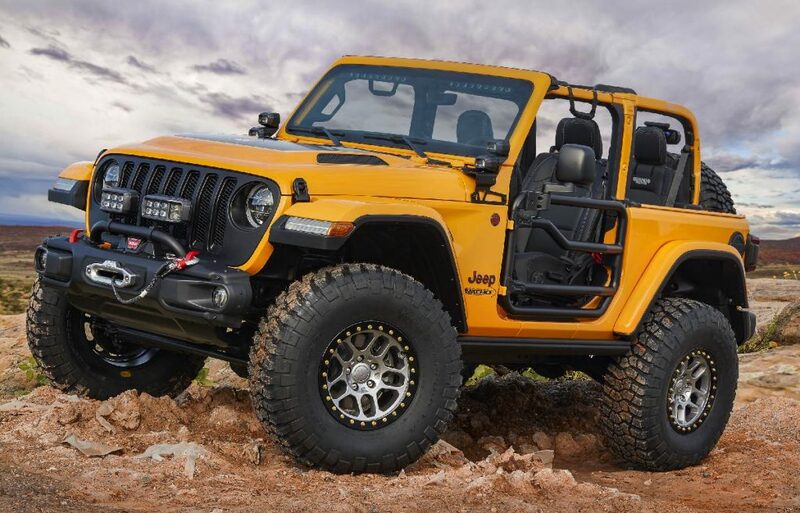 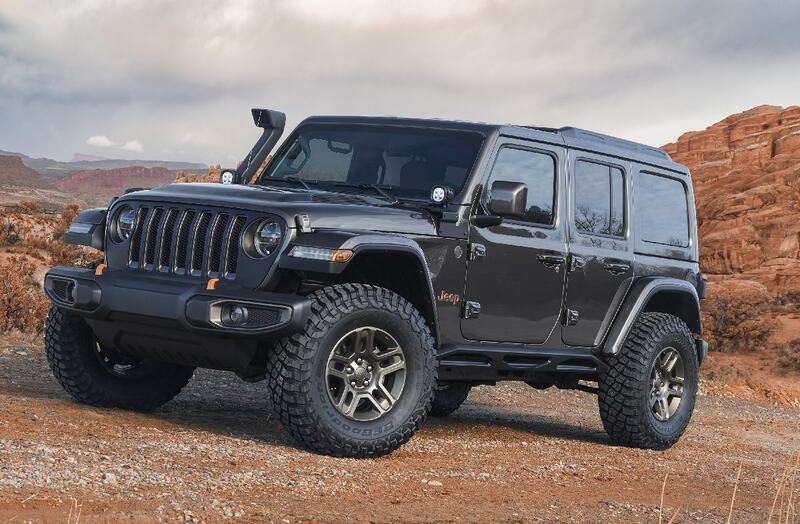 March 20, 2018 , Auburn Hills, Mich. – The Jeep® and Mopar brands have once again joined forces to create seven new, custom-built concept vehicles for the annual Easter Jeep Safari in Moab, Utah, March 24 – April 1. 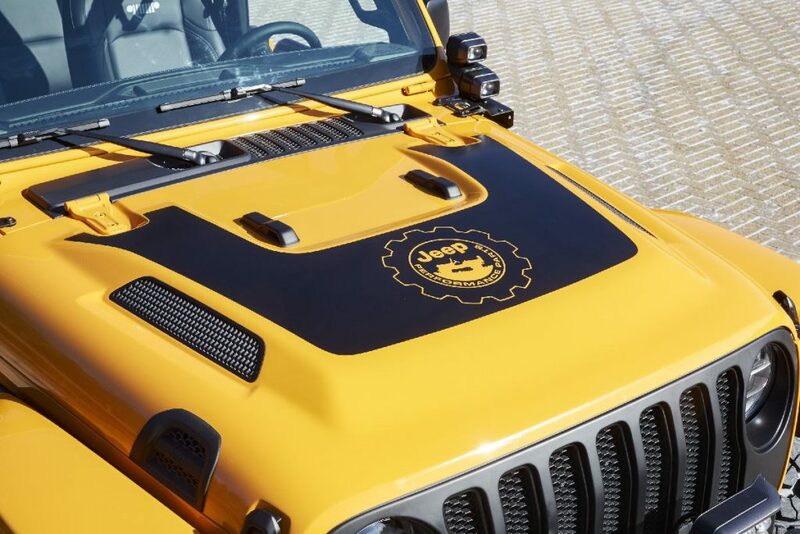 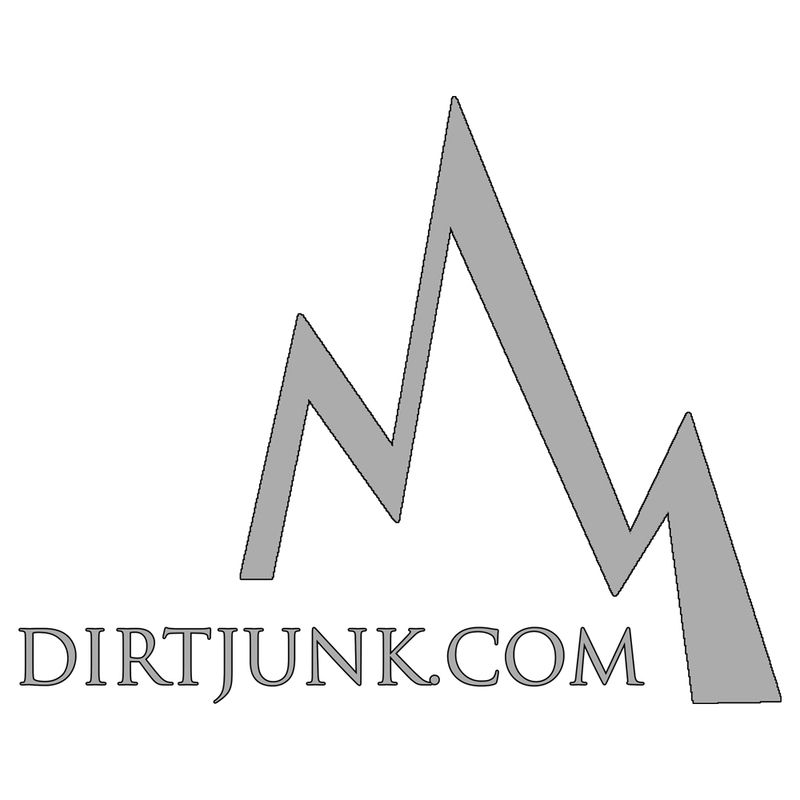 For the 52nd year, thousands of off-road enthusiasts will head to Moab for the annual Jeep event to participate in a week of technical off-roading on some of the most picturesque trails that the country has to offer. 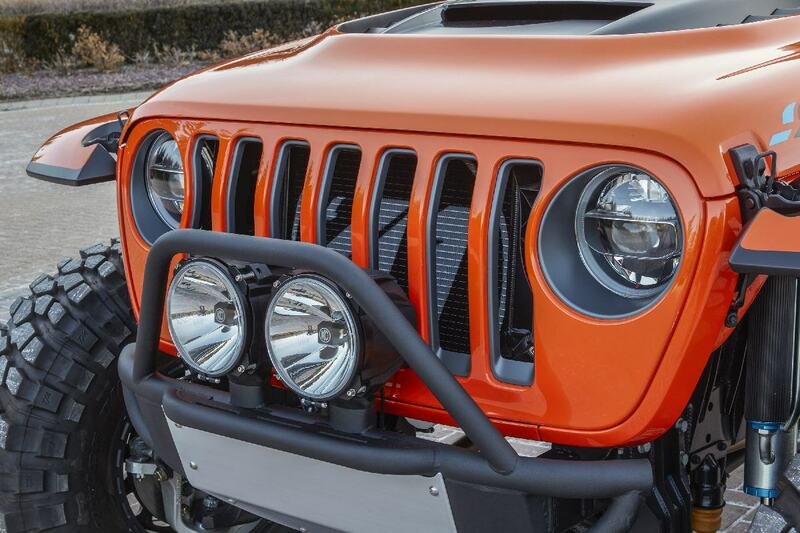 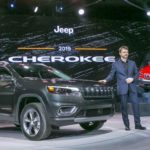 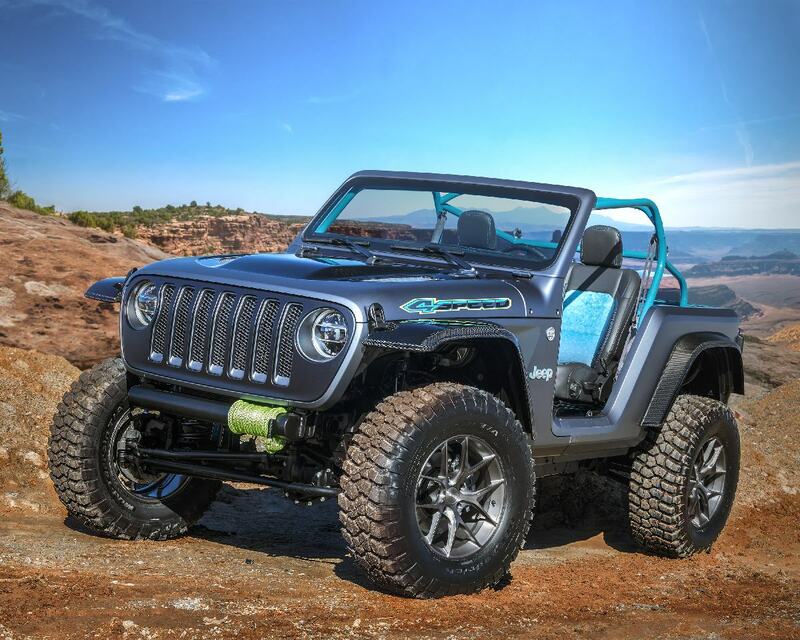 A comprehensive assortment of production and prototype Jeep Performance Parts are featured on this year’s concept vehicles. 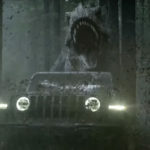 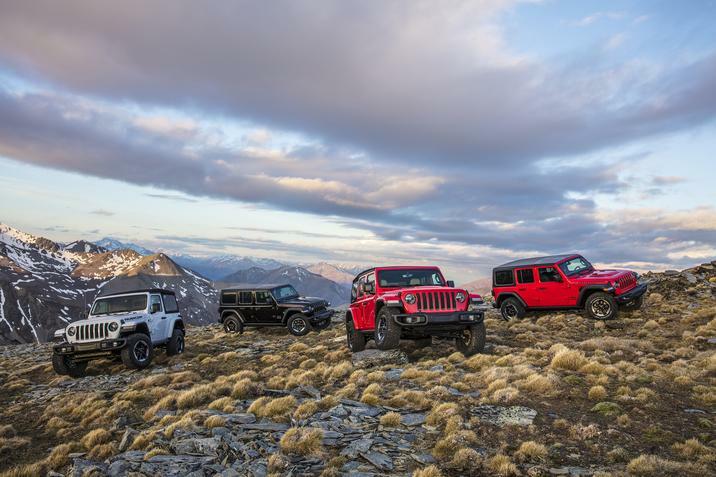 The Mopar brand develops all Jeep Performance Parts with rigorous specifications and legendary 4×4 capability in mind. 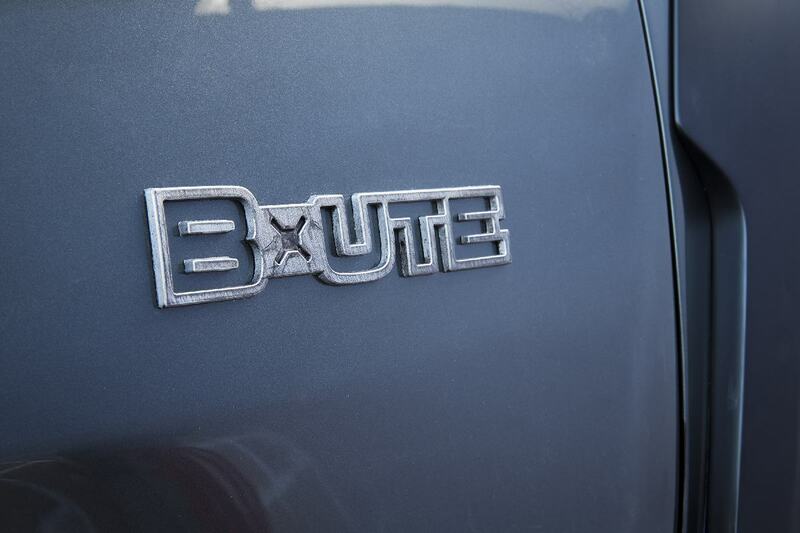 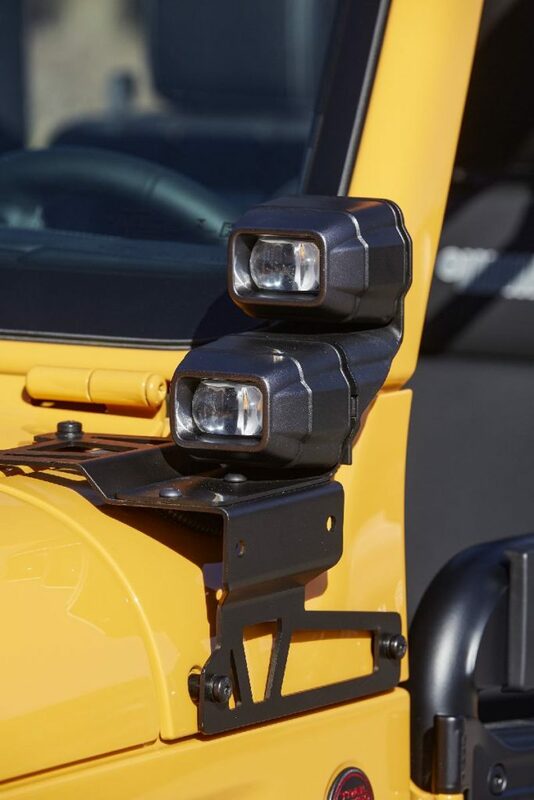 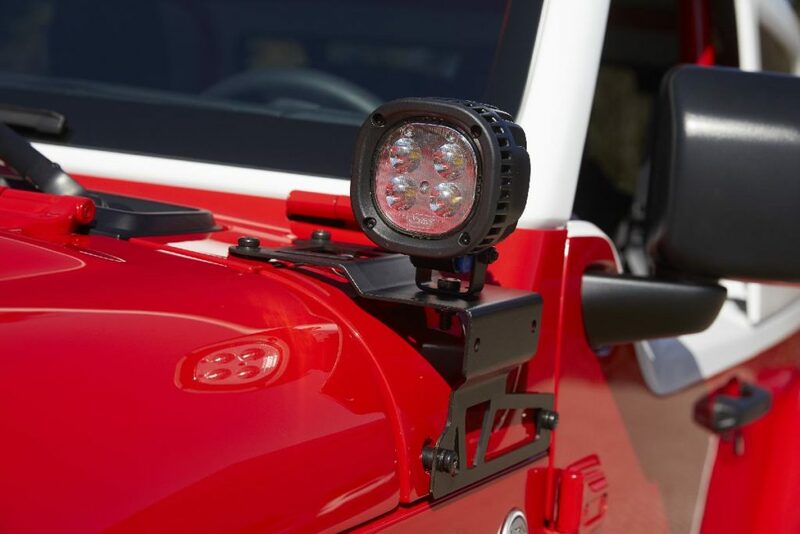 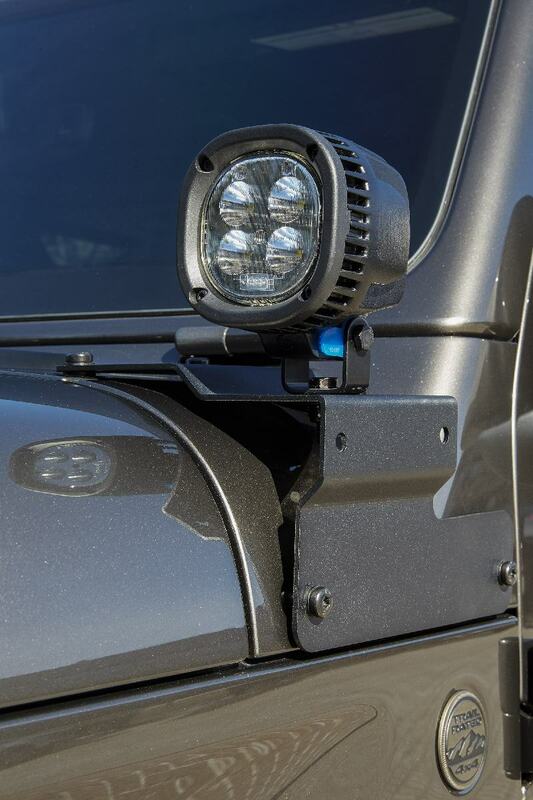 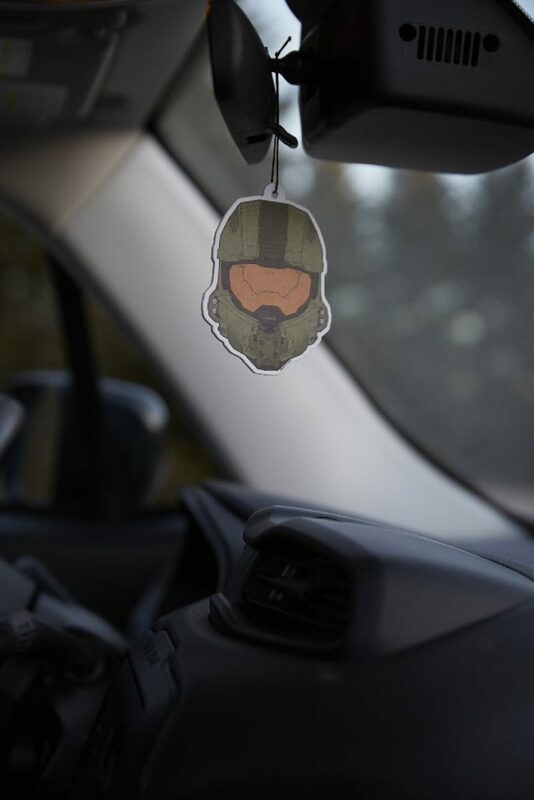 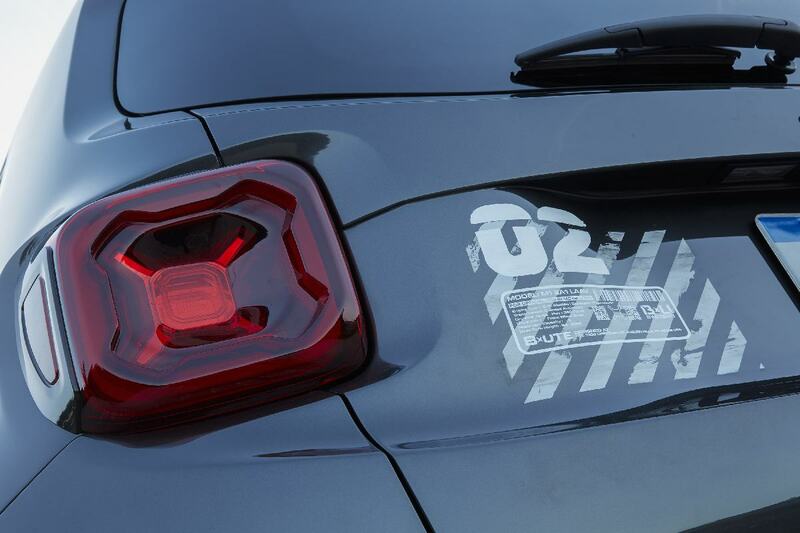 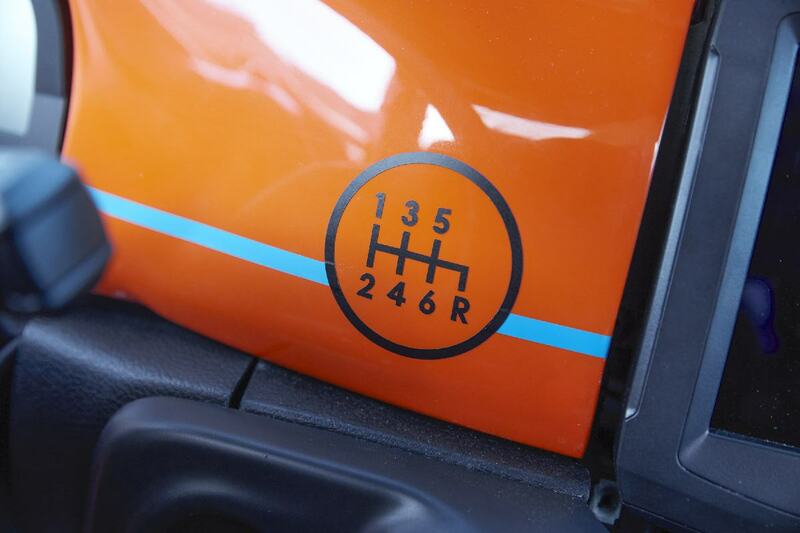 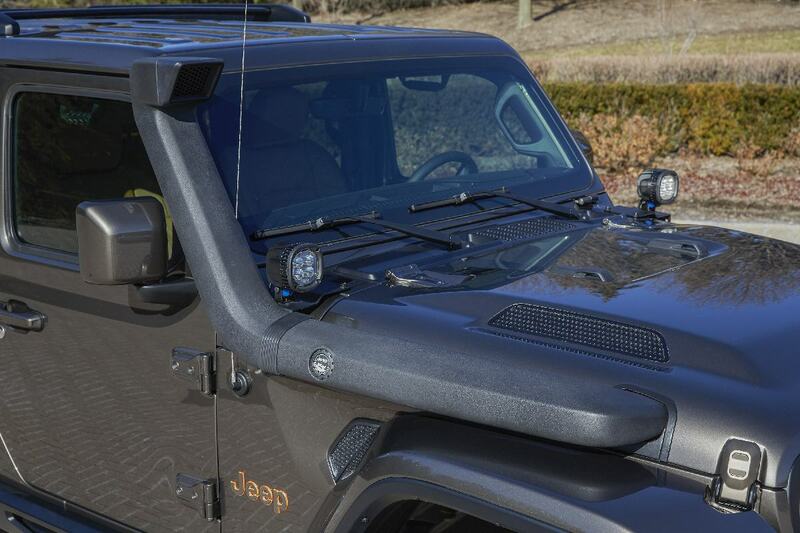 This allows Jeep owners to further enhance their stock vehicles with confidence. 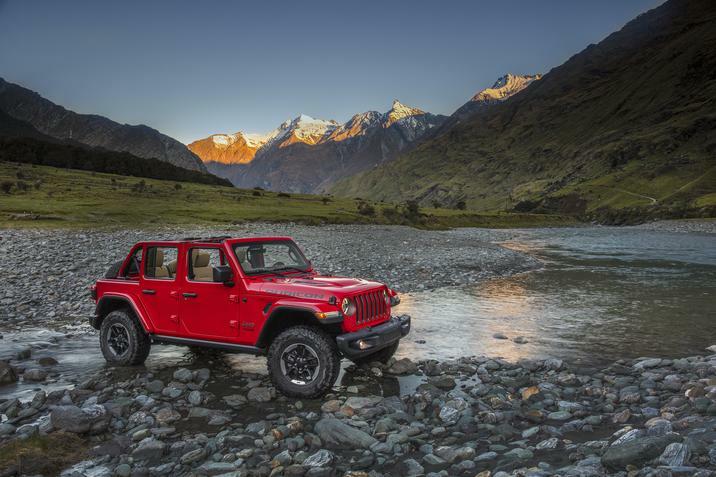 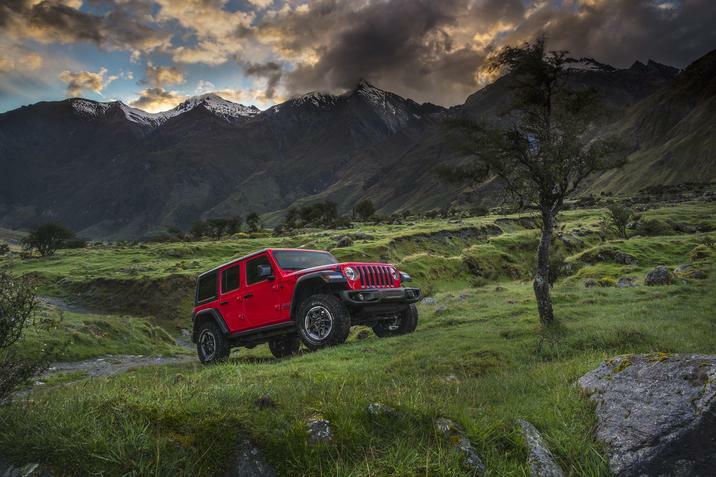 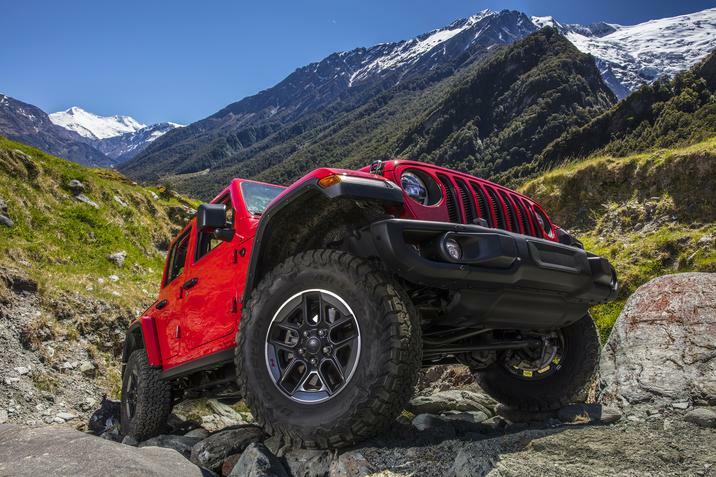 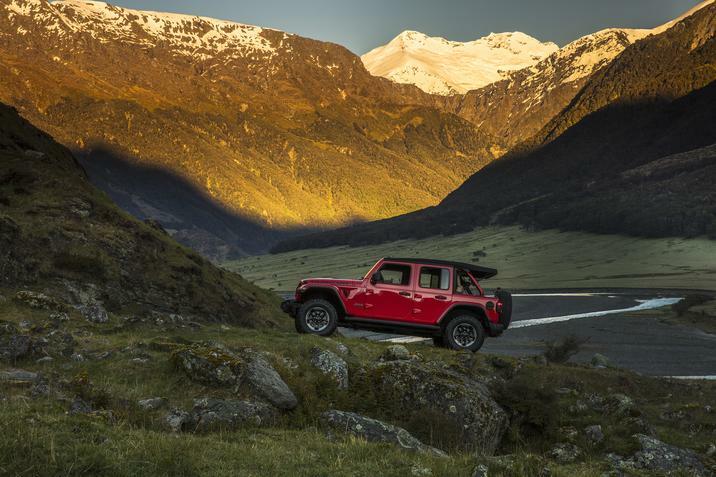 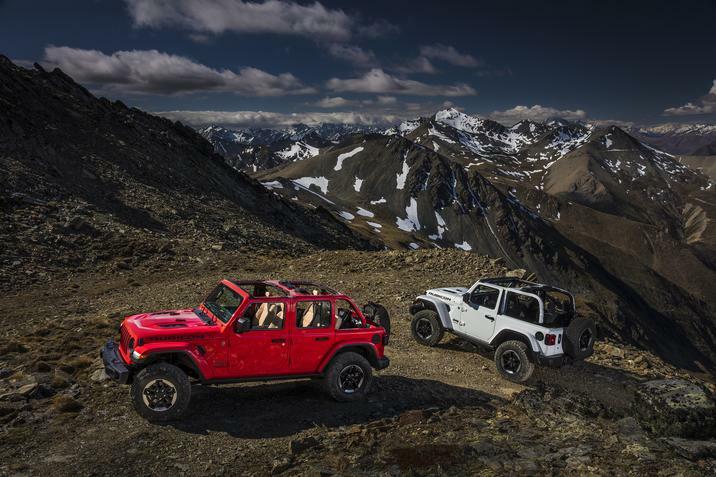 Mopar already has more than 200 parts available for the all-new 2018 Jeep Wrangler. 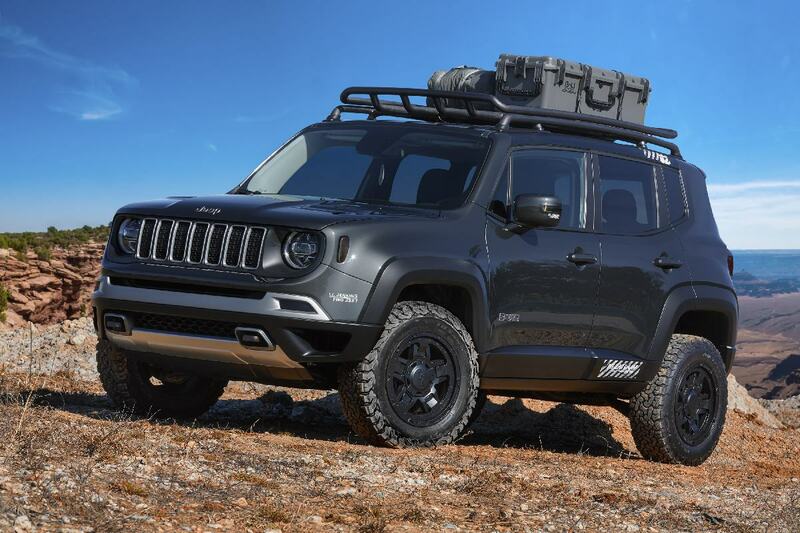 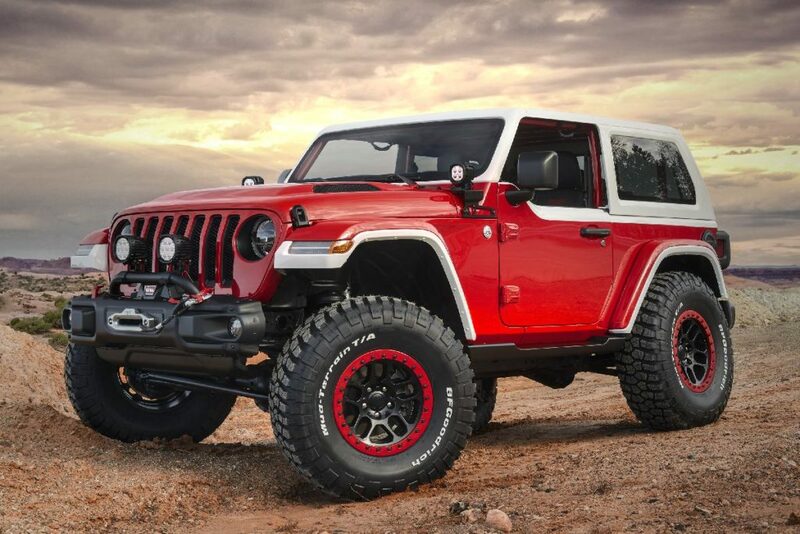 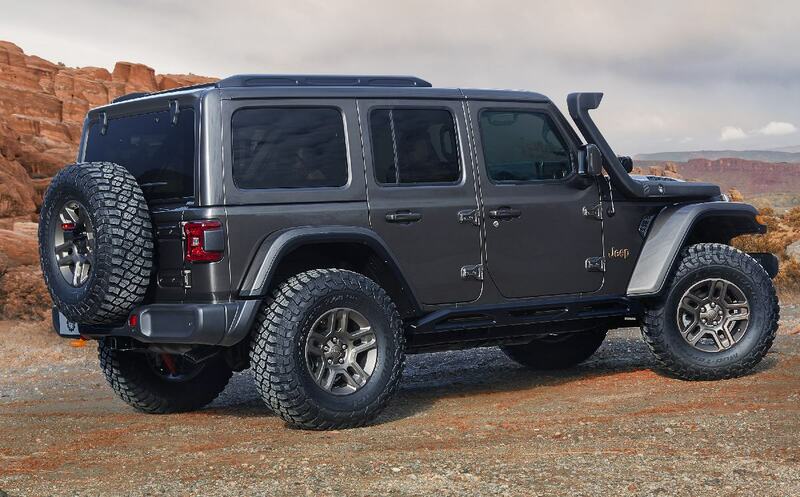 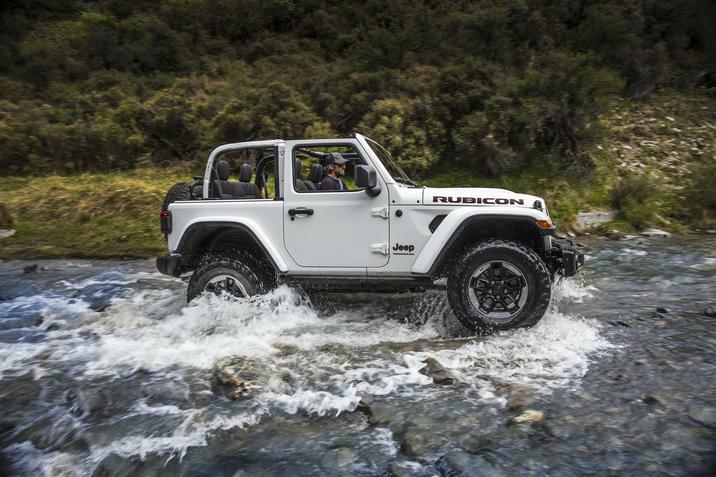 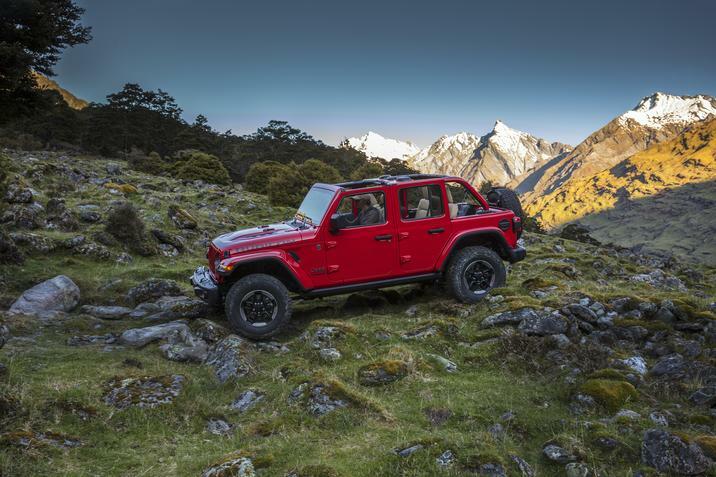 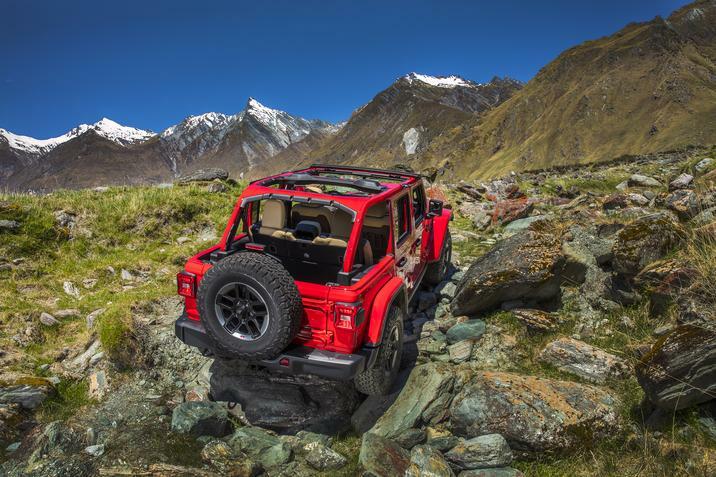 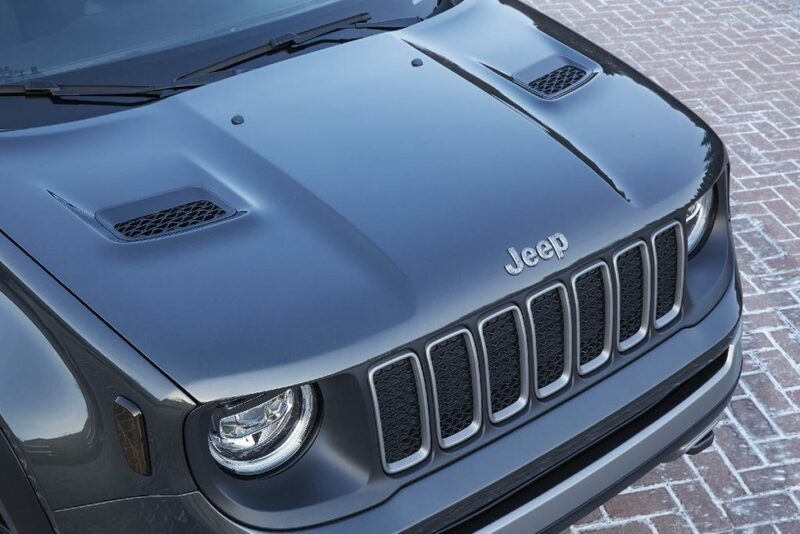 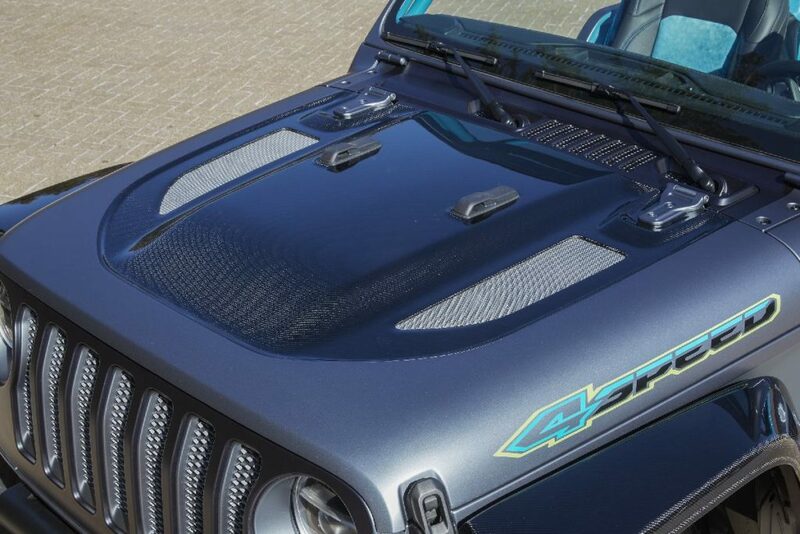 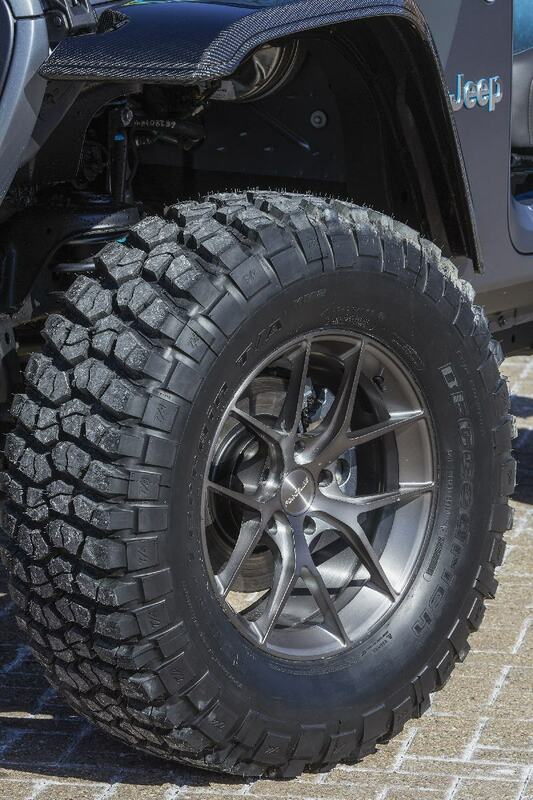 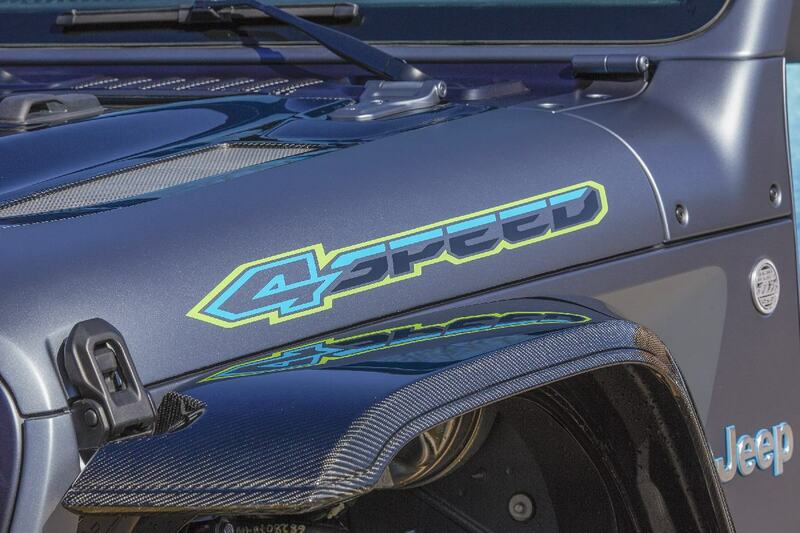 On the exterior, the Jeep 4SPEED concept features custom weight saving measures including a carbon fiber hood, high-clearance carbon fiber fender flares and a carbon fiber rear tub with perforated aluminum panels. The 4SPEED concept boasts a sleek side profile courtesy of a raked windshield, elongated door openings and an aggressively swept back custom cage. 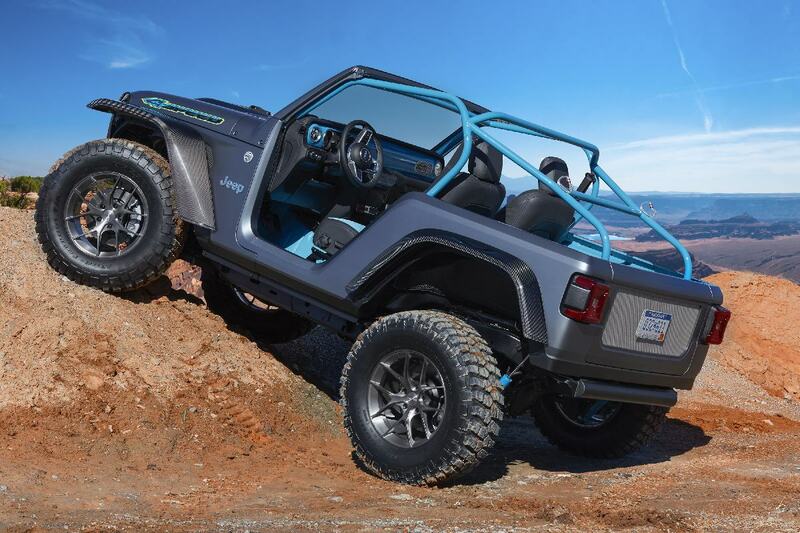 The rear of the concept utilizes custom, lightweight bodywork, and because of the combined weight savings, 4SPEED’s ride height is two inches higher than a stock Wrangler. 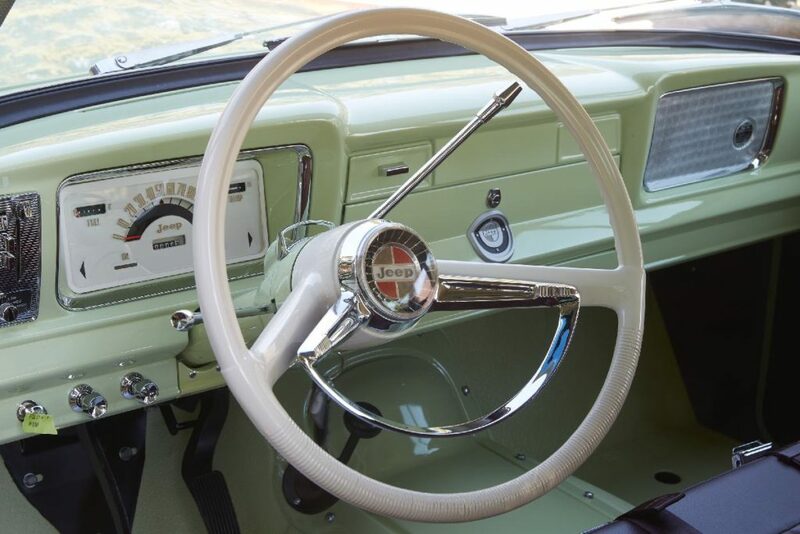 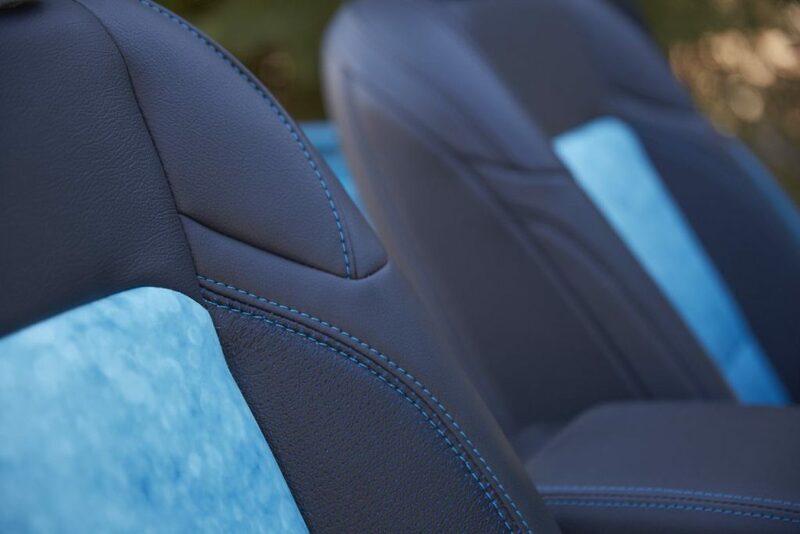 The interior features a customized instrument panel, and re-trimmed front seats, while the rear seats have been removed and a welding curtain has been repurposed as a bikini top. 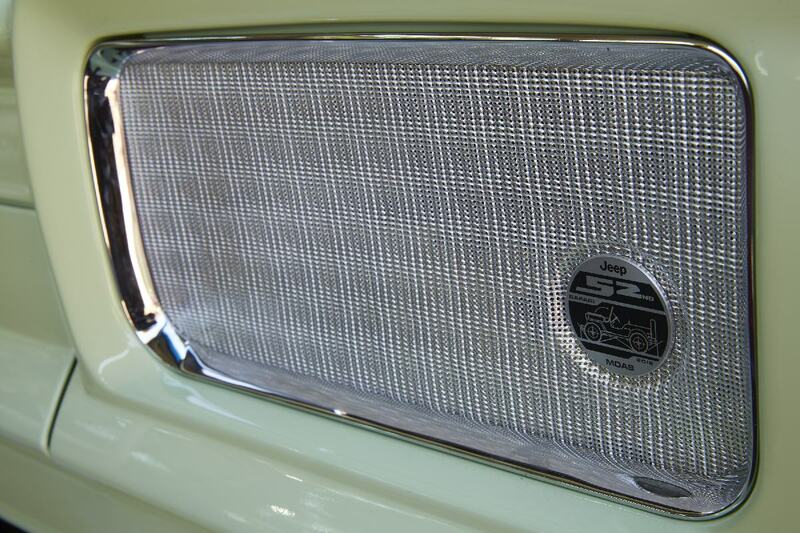 The floor has been bedlined and the foot wells have been replaced with perforated aluminum panels. 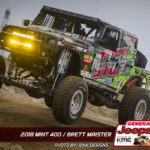 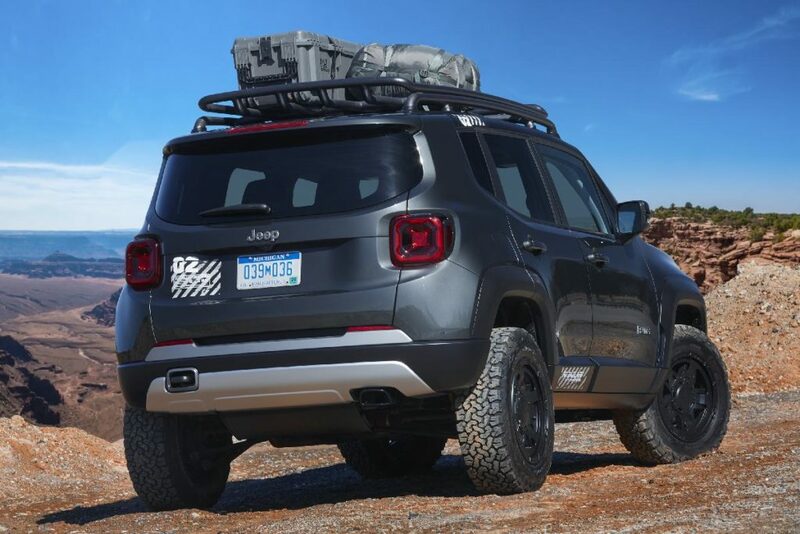 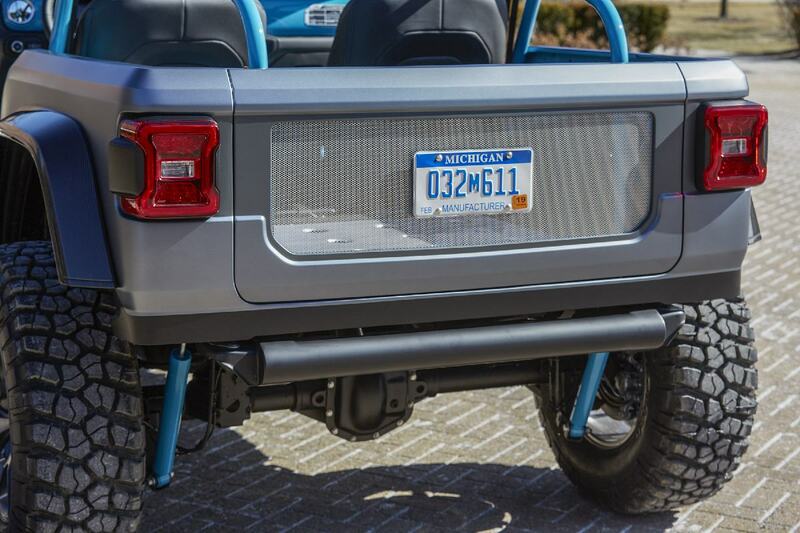 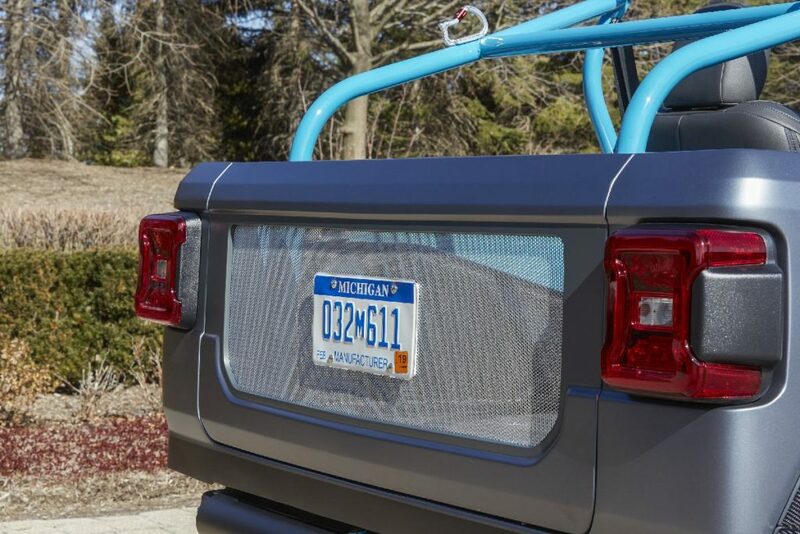 To fit the Baja look, the exterior features custom styling cues including a vented carbon fiber hood, vented high clearance front and rear fender flares and a cage that includes a rear mounted lay down style spare tire carrier. The exterior handles and swing gate have been removed while the rear doors have been chopped for a cleaner look. 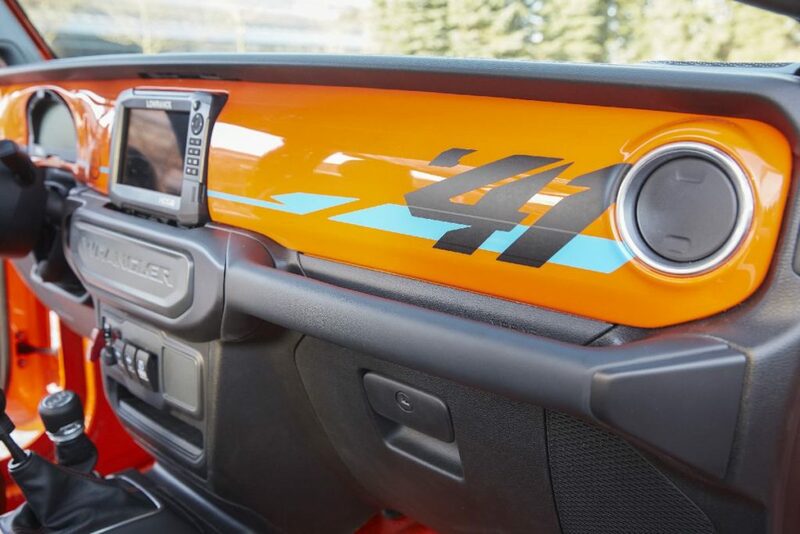 The Baja race truck theme continues throughout the interior, which features a custom cage that integrates the chassis, leather-trimmed front seats and unique low-back racing bucket seats in the rear. 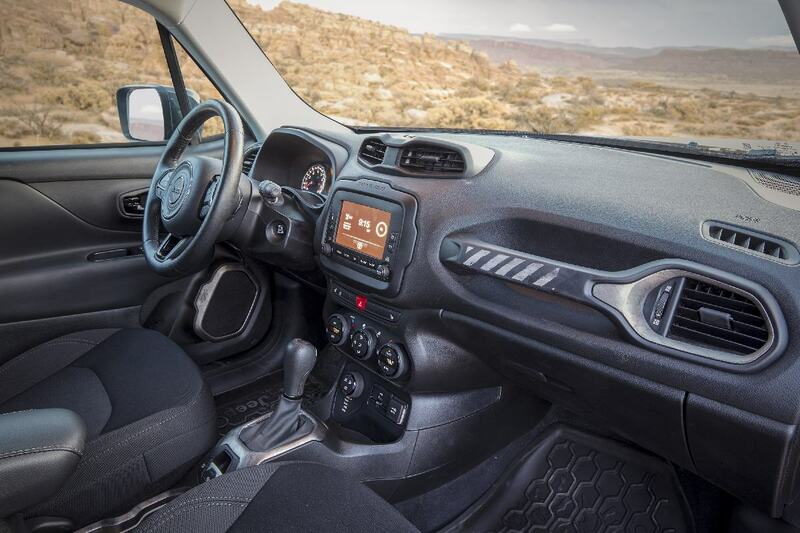 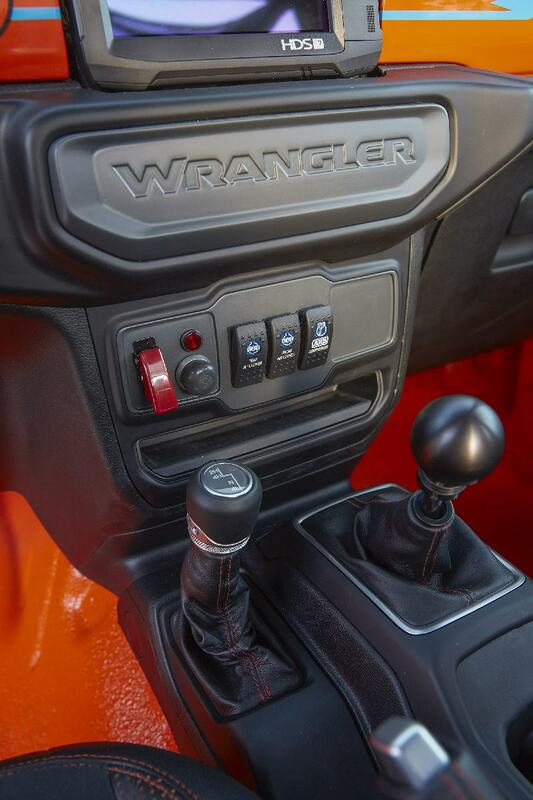 A racing-inspired cluster and 7-inch off-road GPS unit handle navigation while independent rocker switches control on-board electronics, air compressor and axle lockers. 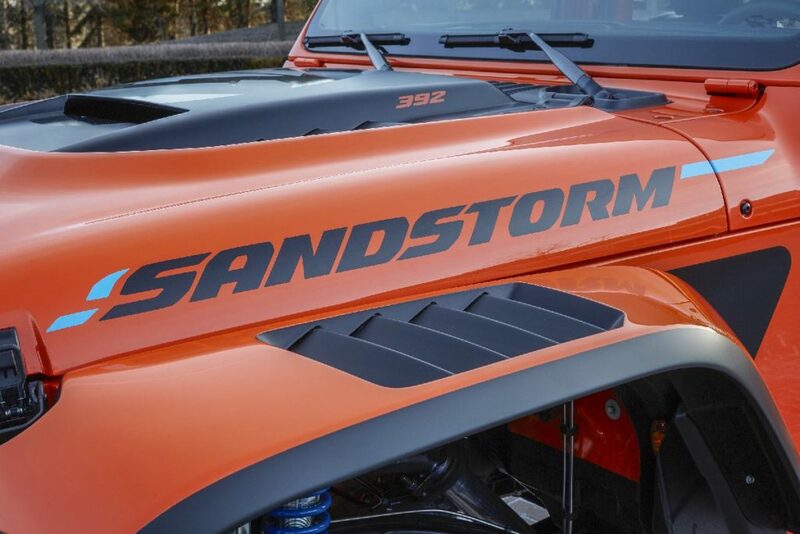 The Sandstorm concept sheds all plastic trim and carpet in favor of a bedlined floor. 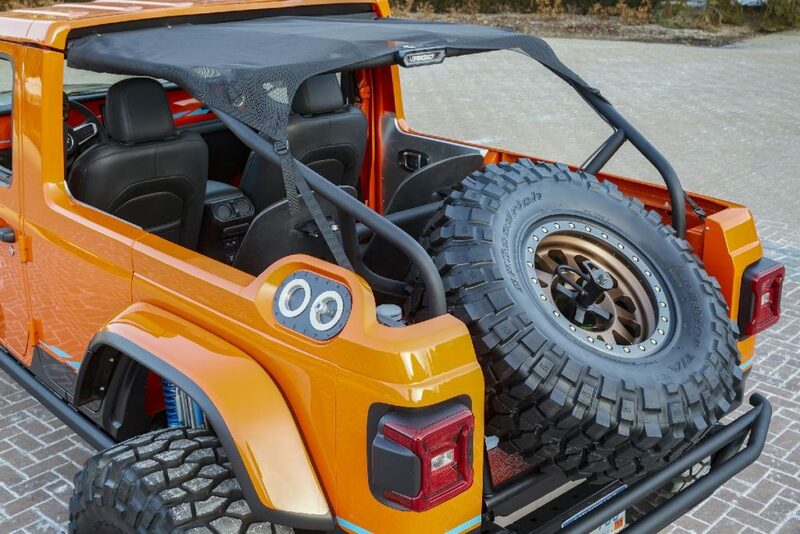 The wheelbase has been stretched five inches, and the body has been updated to accept the additional length, a wider track and custom fender flares. 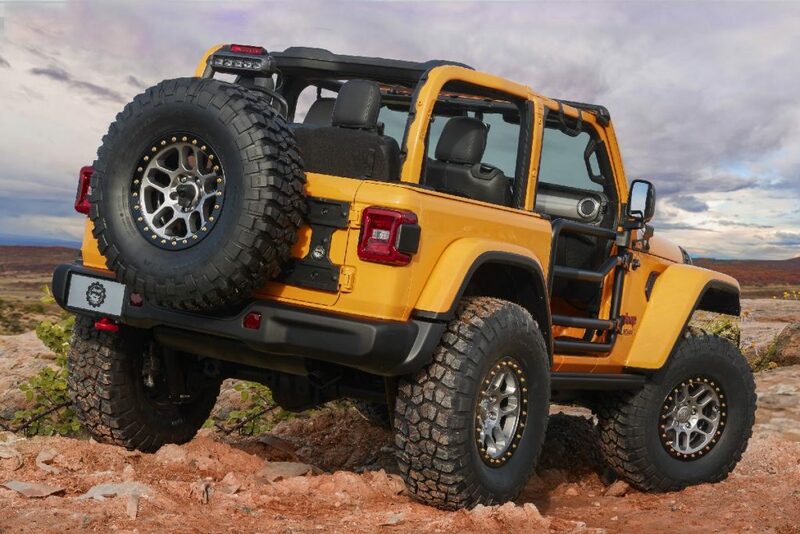 Other subtle exterior styling tweaks include reshaped wheel wells, bumpers and integrated rock rails. 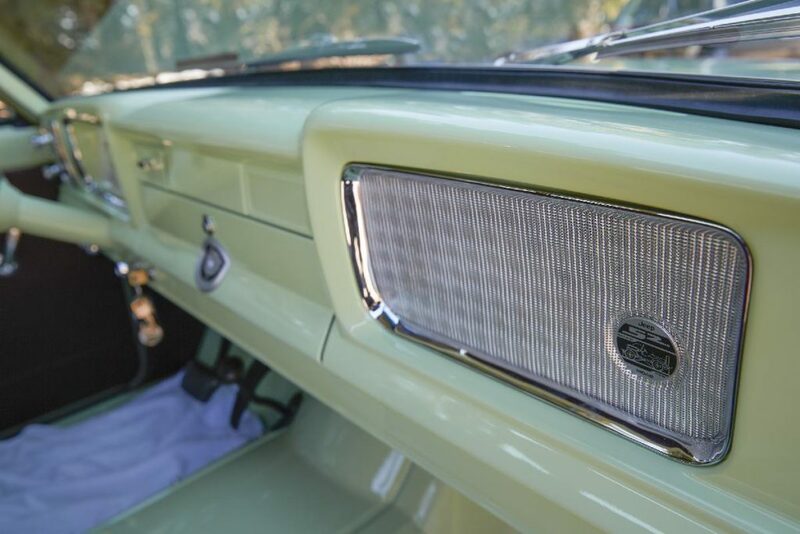 A razor grille freshens the look up front, while Bottle Green architectural glass replaces the original pieces. The Wagoneer’s off-road capability has been bolstered courtesy of a boxed and reinforced frame, Dana 44 front and rear axles with lockers, four-link suspension with coilover springs, and 17-inch steel wheels wrapped in 33-inch BF Goodrich Mud-Terrain tires. 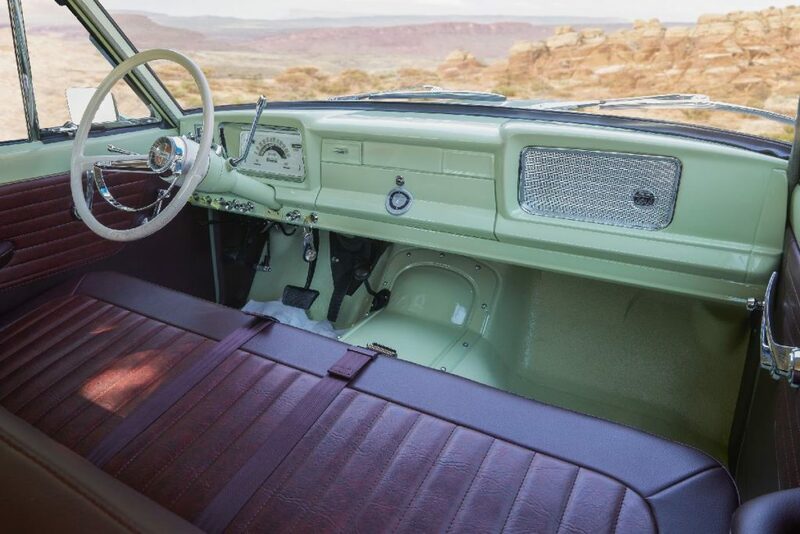 Inside, the Wagoneer features original front and rear bench seats, door panels, kick and rear panels, all trimmed in Oxblood-colored leather. 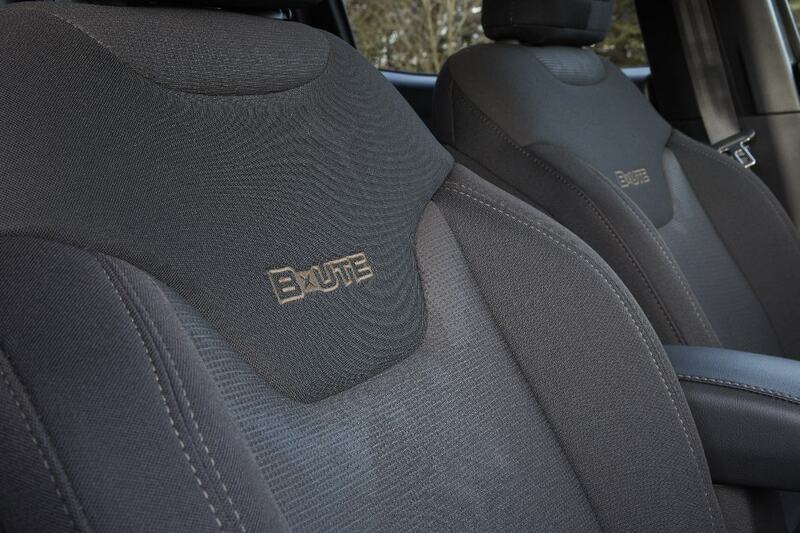 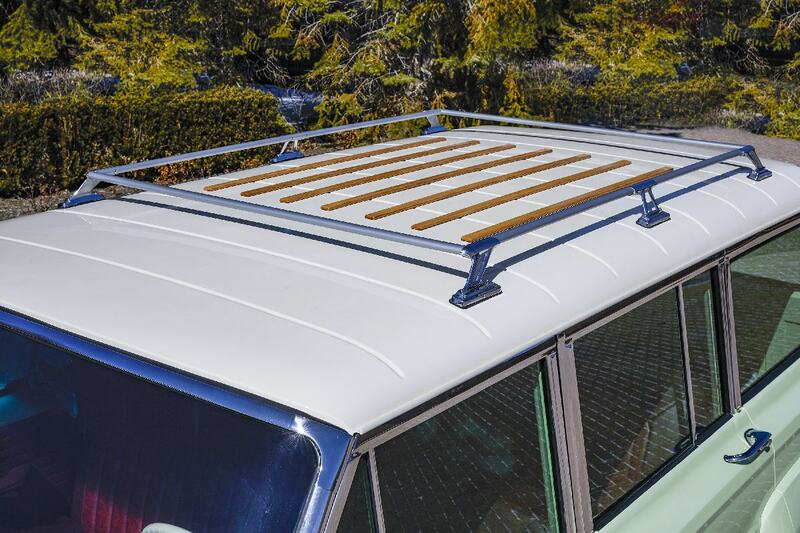 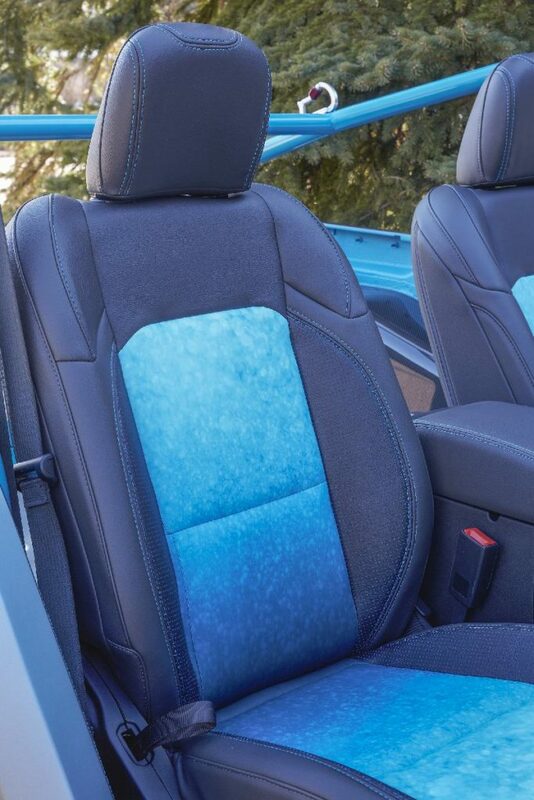 A wicker headliner gives the Wagoneer an open, lighter feel and the floor has been bedlined. 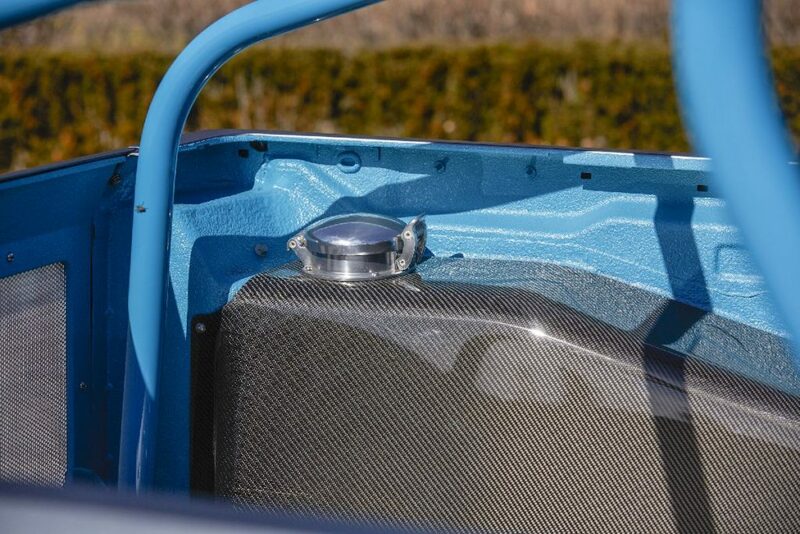 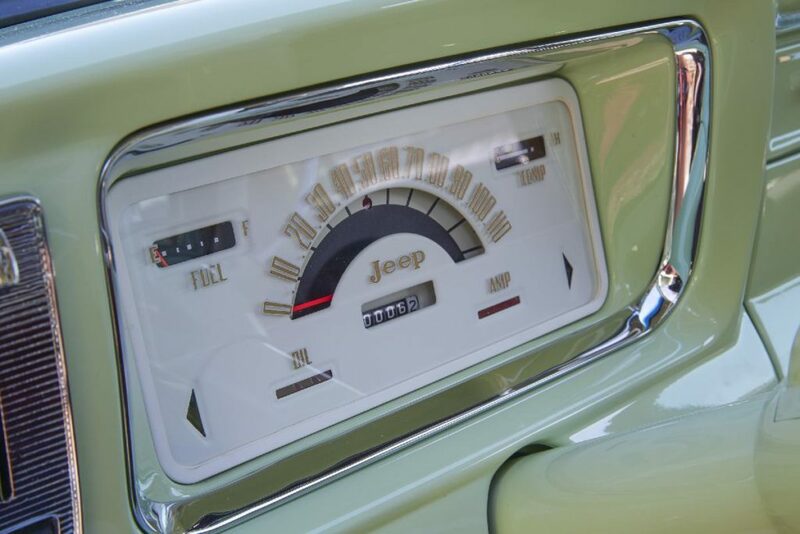 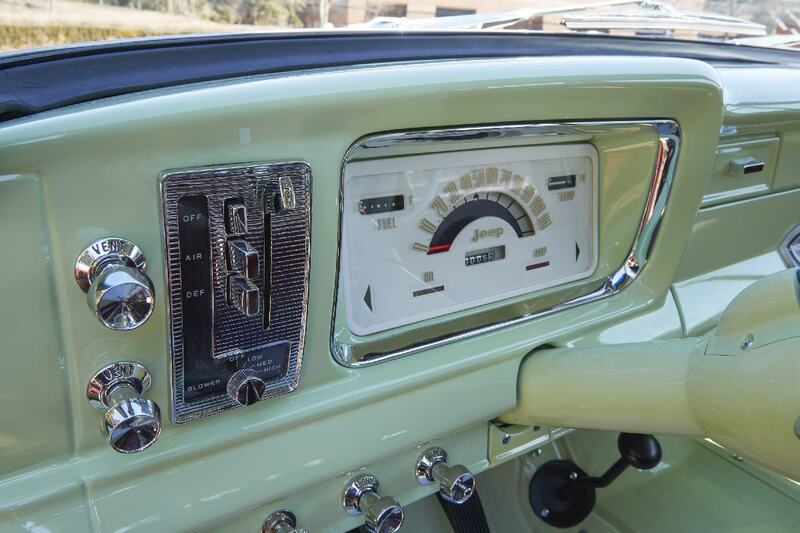 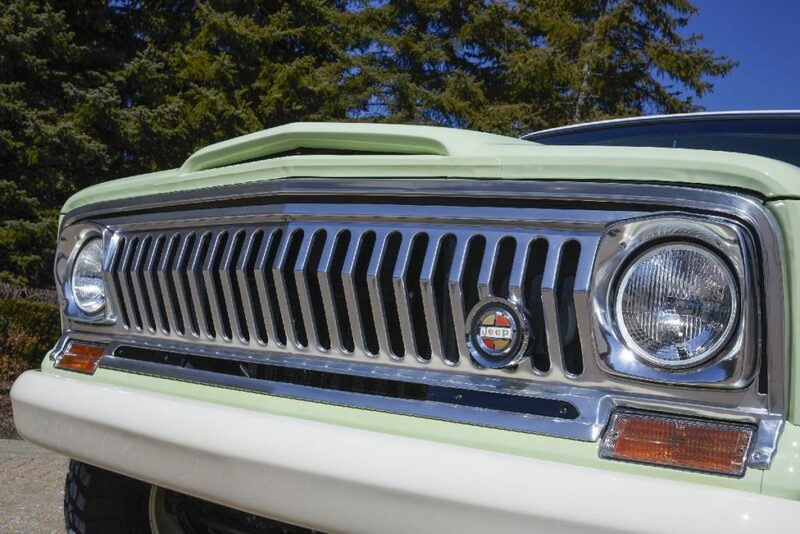 Additional interior details include a custom cooler fashioned from period-correct luggage, and a tool box created from the valve cover of this Wagoneer’s original 230 Tornado OHC-6 engine. 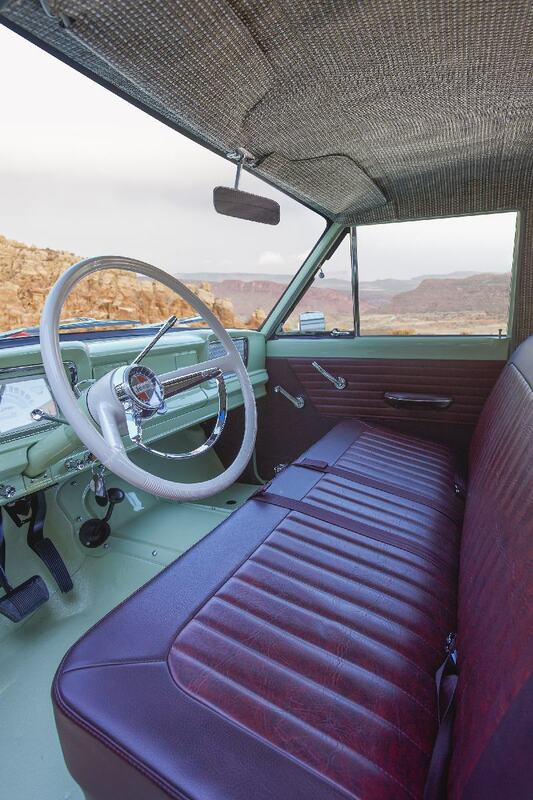 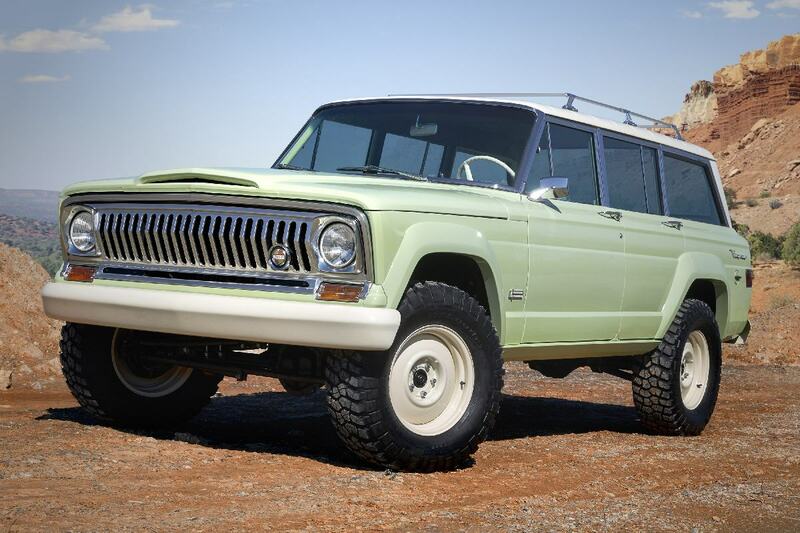 Known as the original luxury 4×4, this 1965 Jeep Wagoneer is rich with heritage and is built to scale the trails of Moab or cruise the vast highways of the western states. 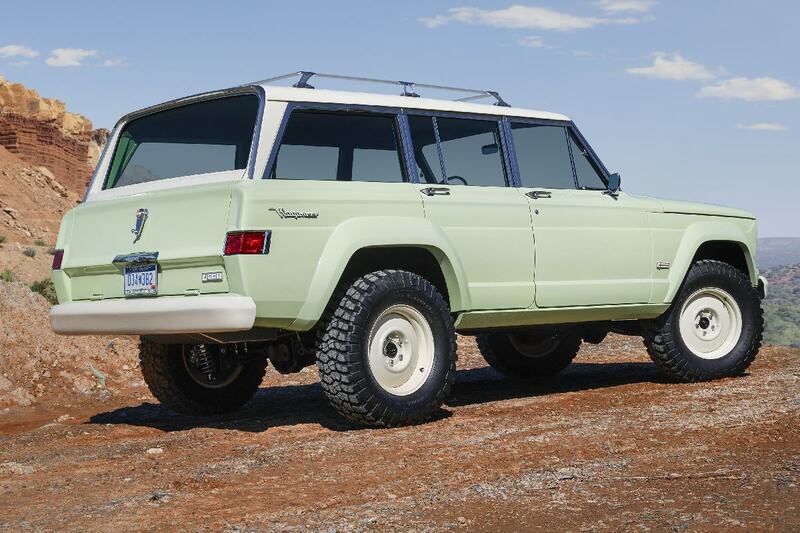 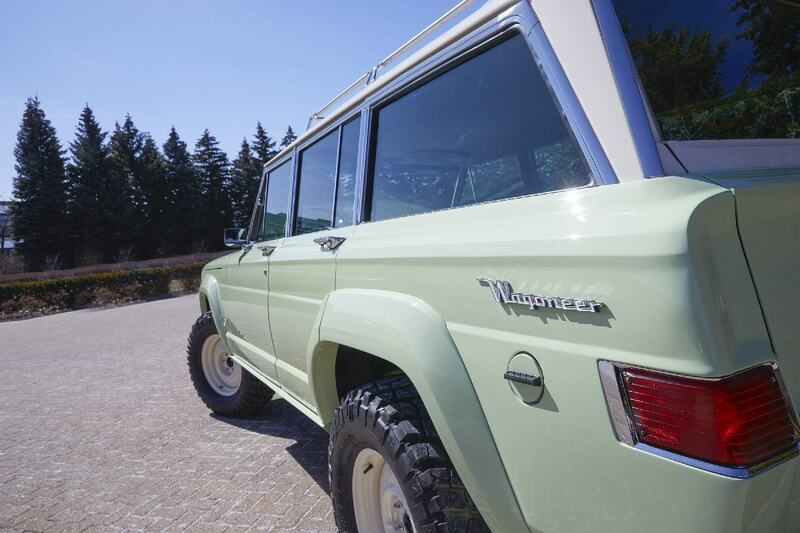 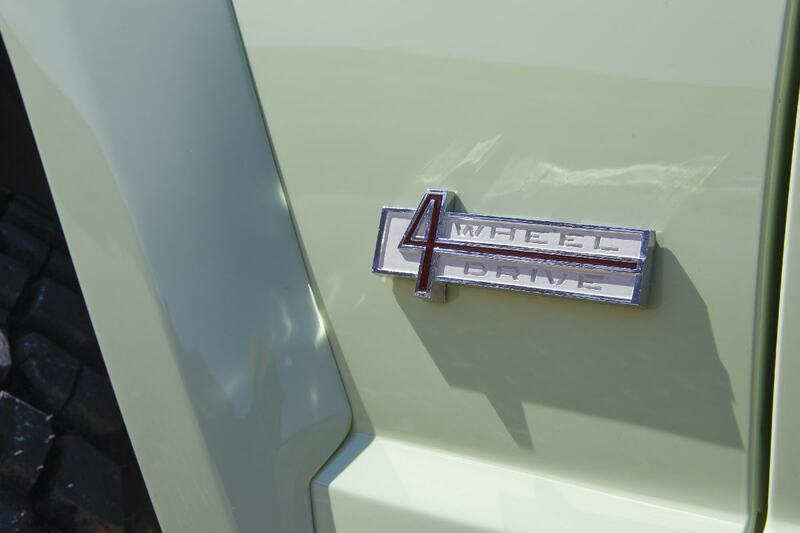 Built from 1963 to 1991, the Wagoneer was the first four-wheel-drive vehicle mated to an automatic transmission, pioneering the first modern SUV. 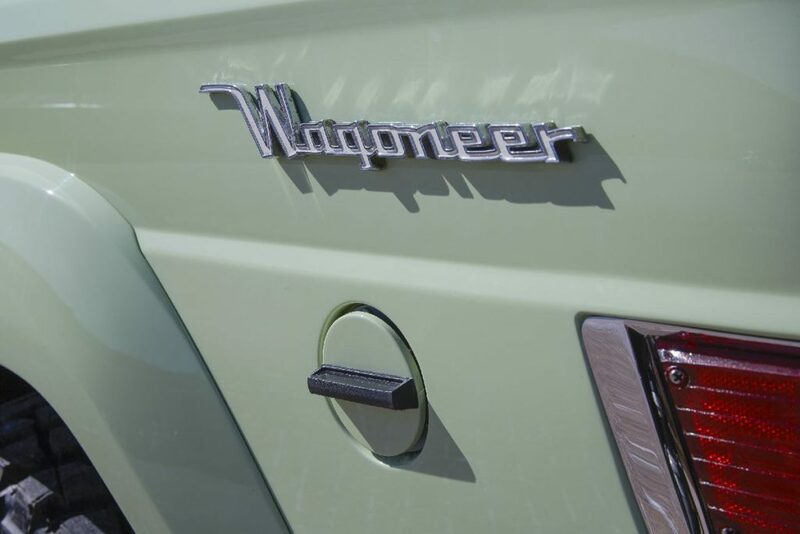 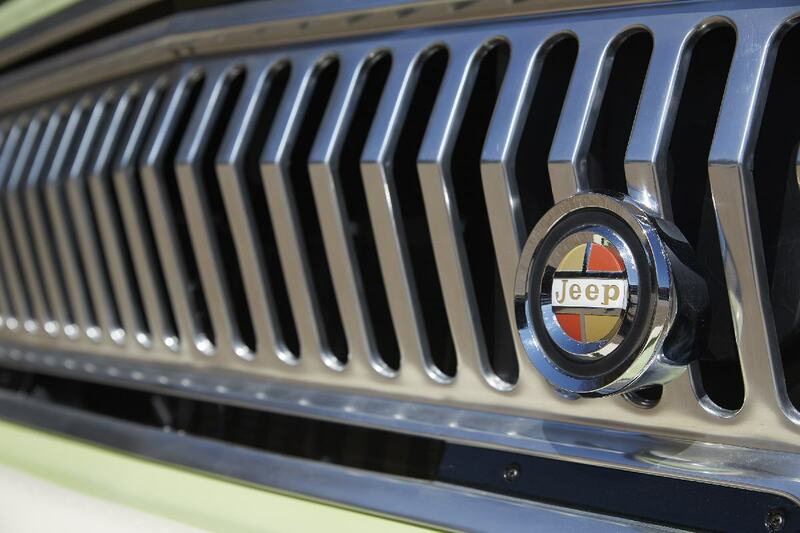 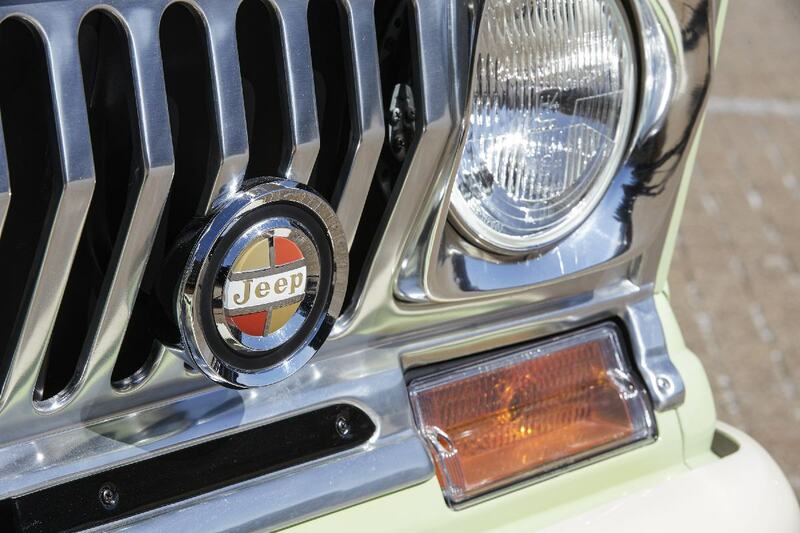 The classic Jeep Wagoneer is a beloved icon and continues to enjoy a robust following of enthusiasts worldwide. 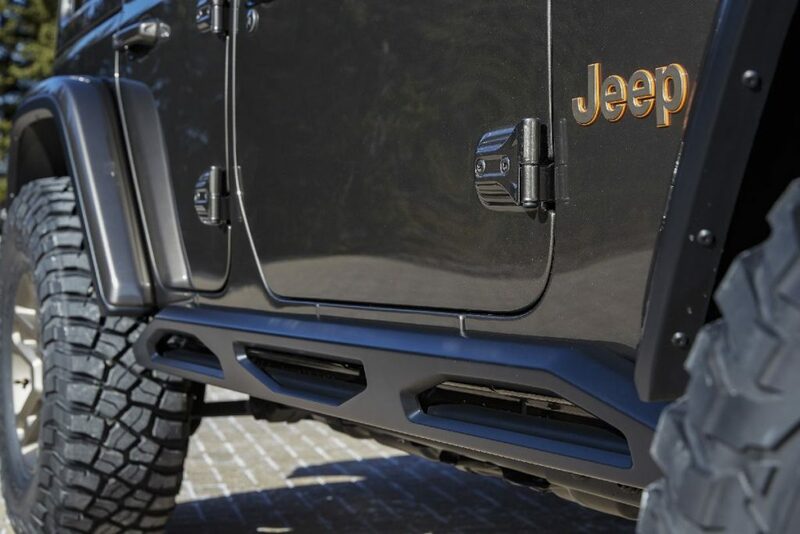 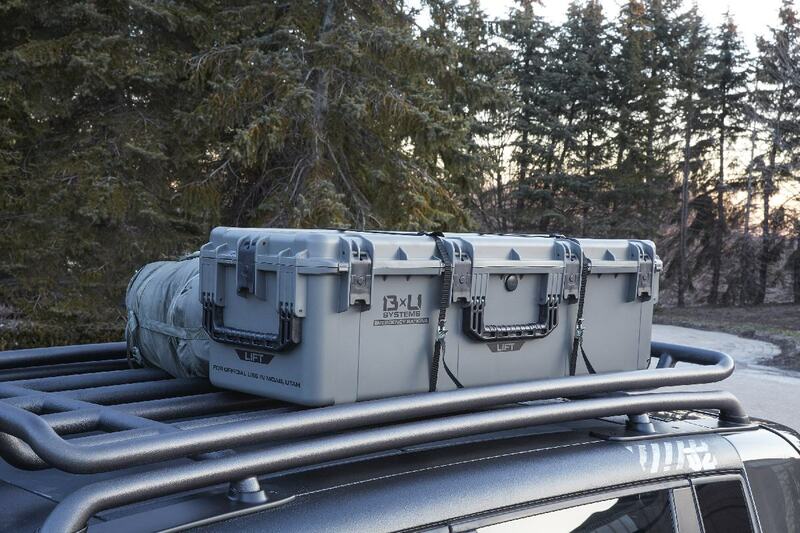 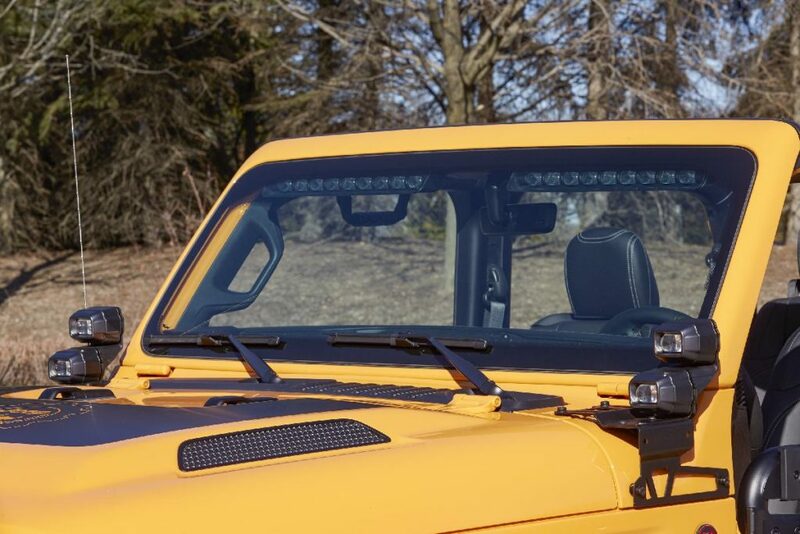 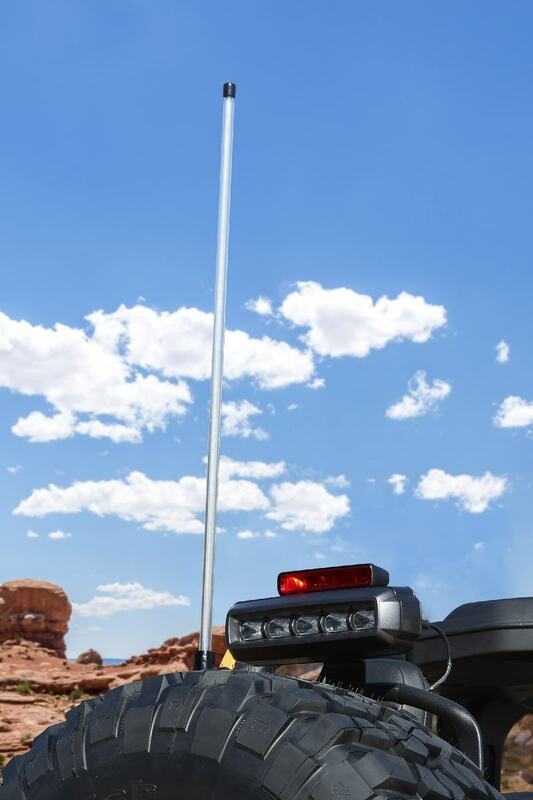 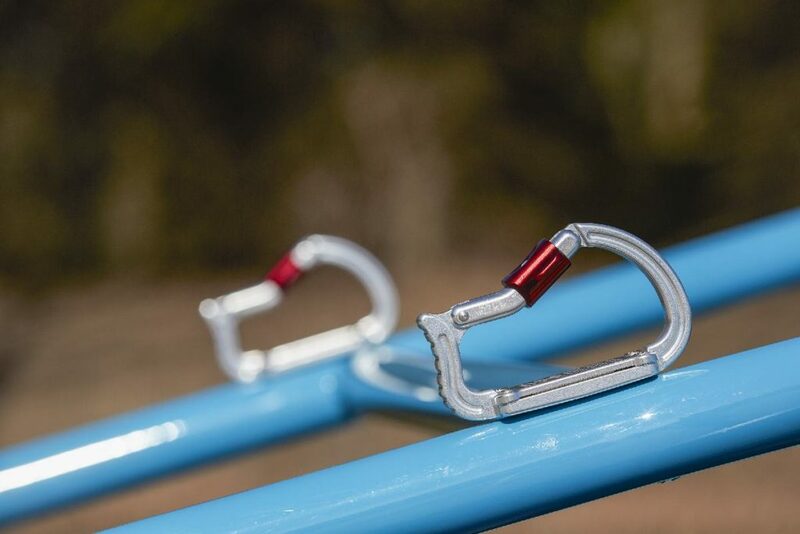 Black metal concept rock sliders guard the J-Wagon’s exterior, and a matching black metal concept JPP roof rack offers utility and functionality to fit any lifestyle. 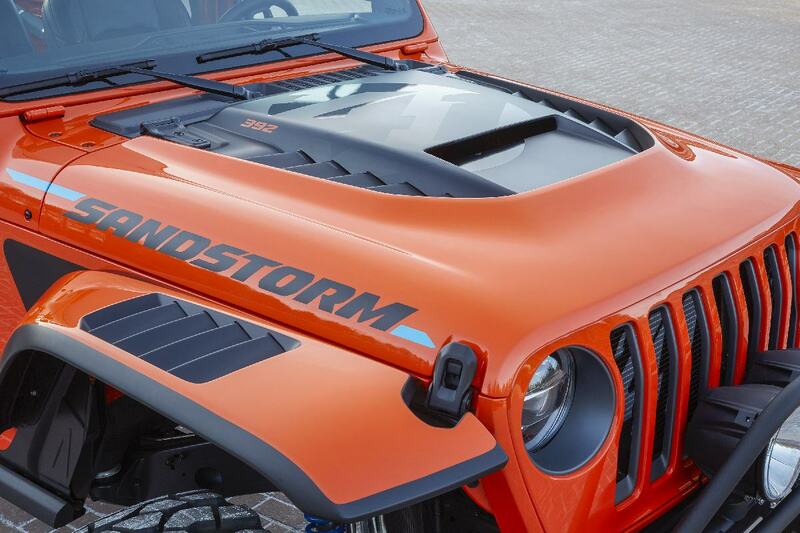 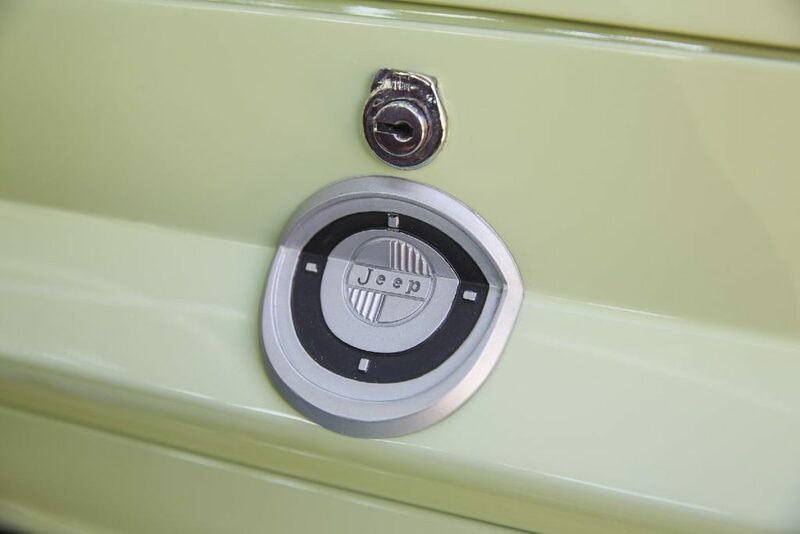 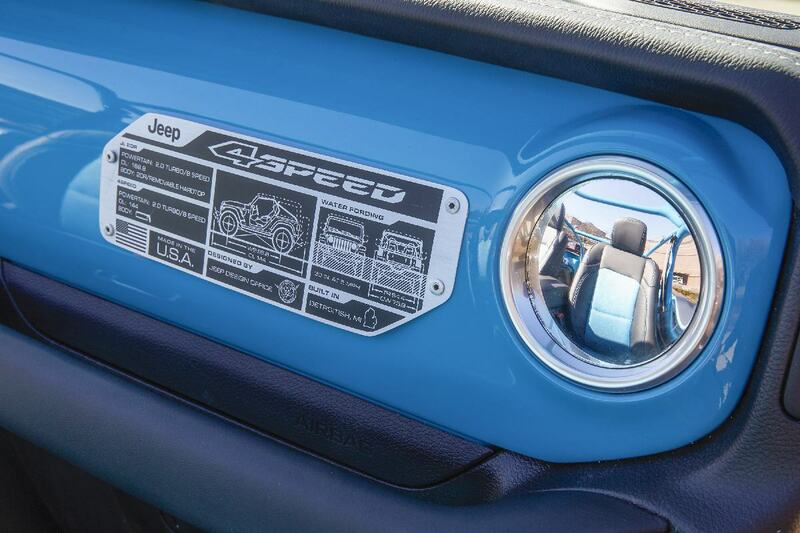 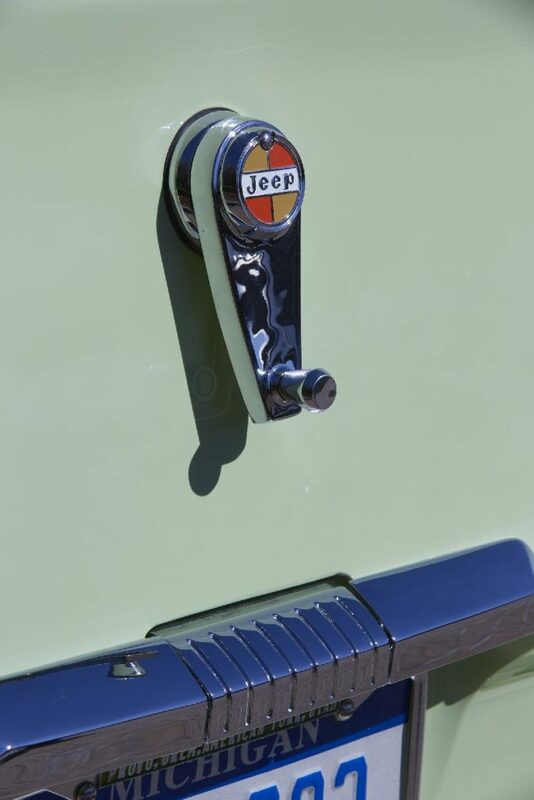 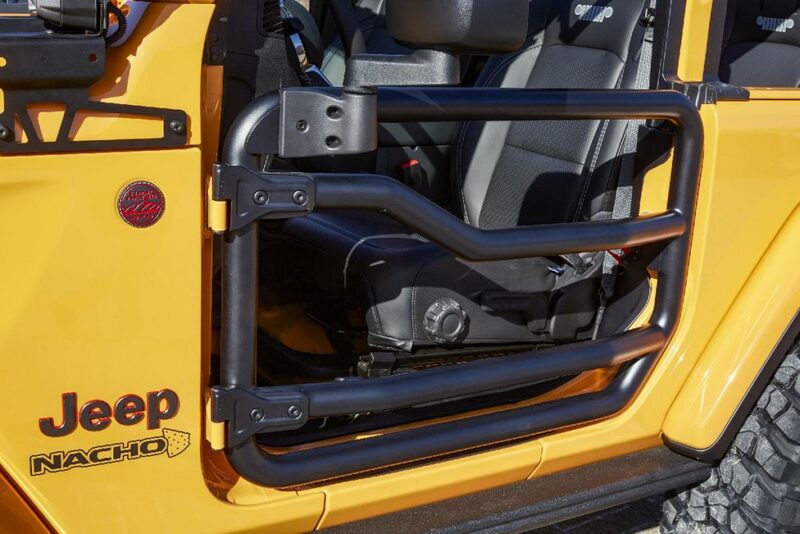 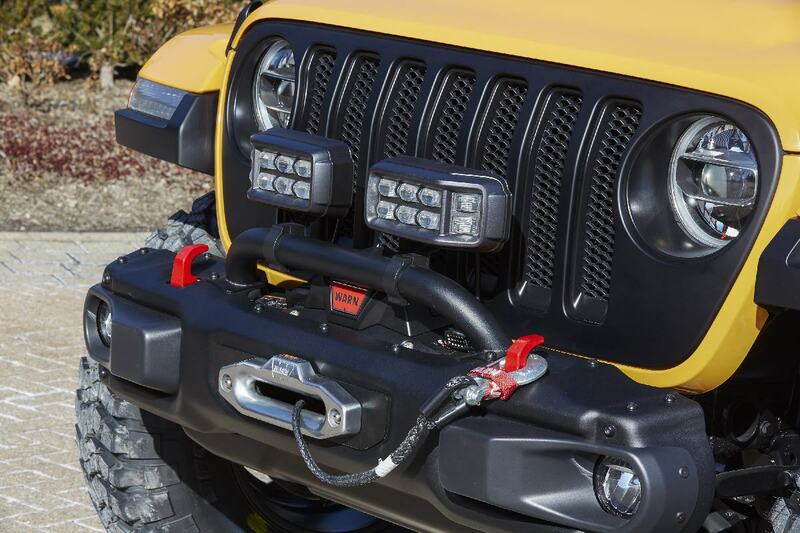 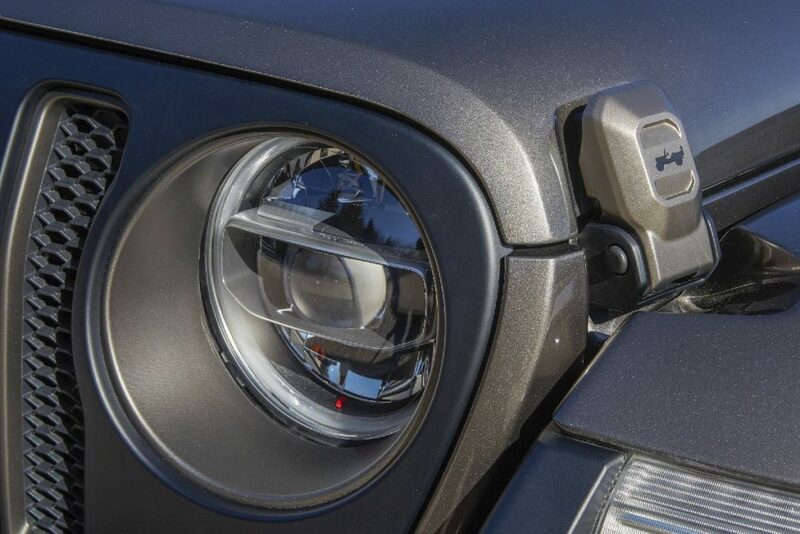 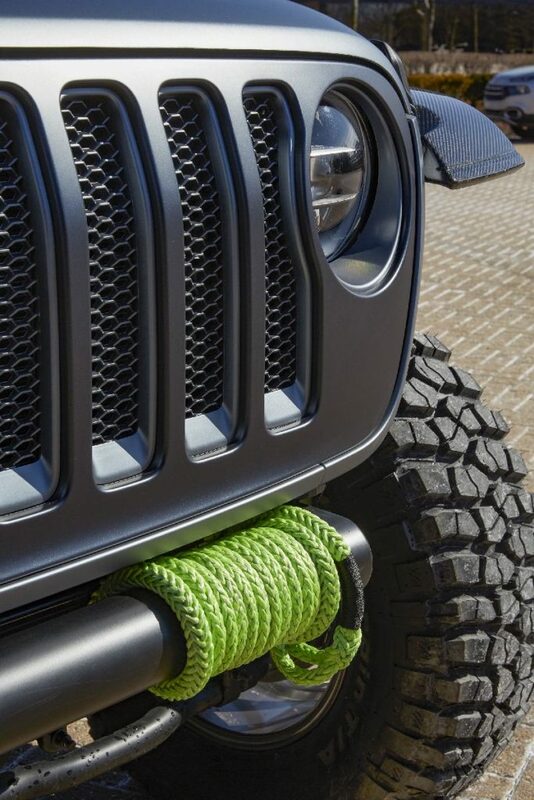 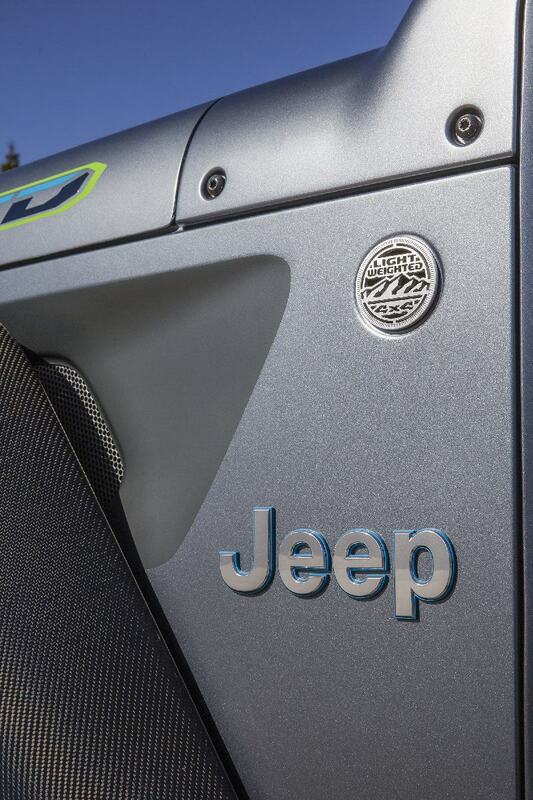 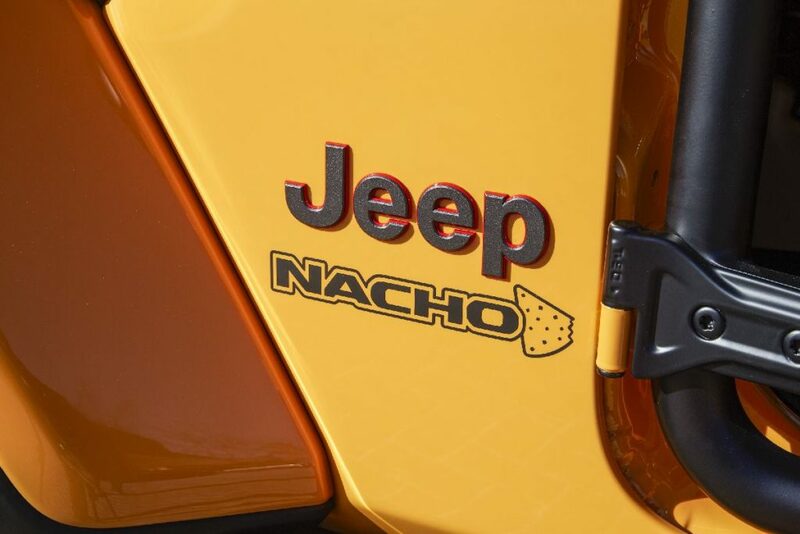 A black JPP fuel door and Orange Crush accents on the Jeep badge and tow hooks add style points. 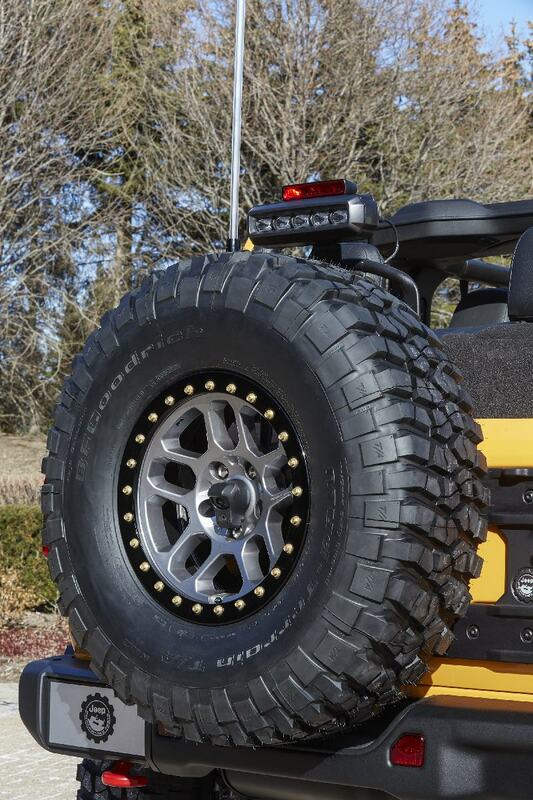 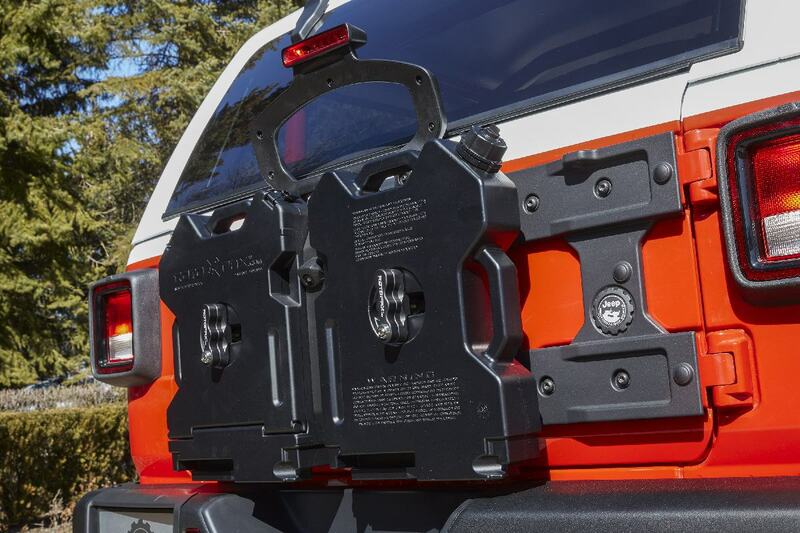 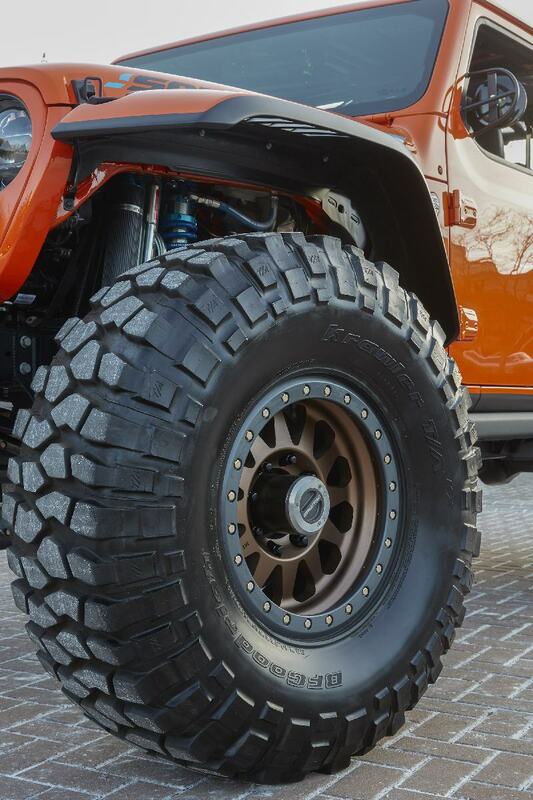 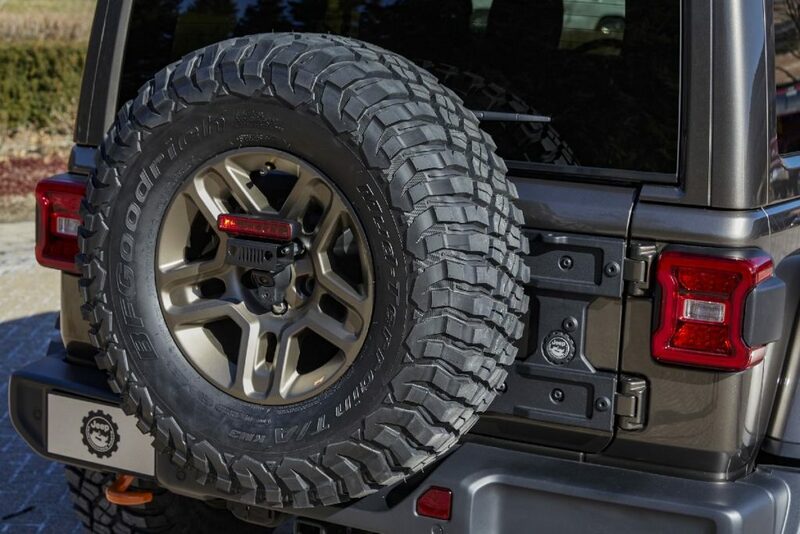 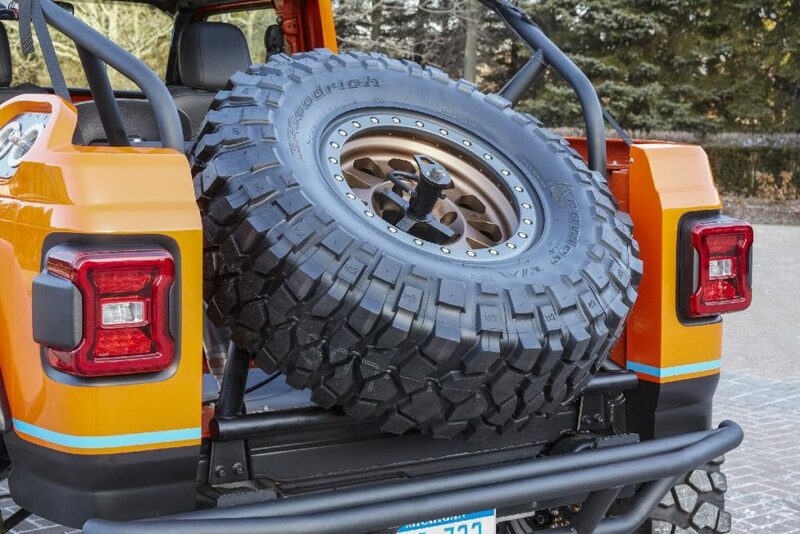 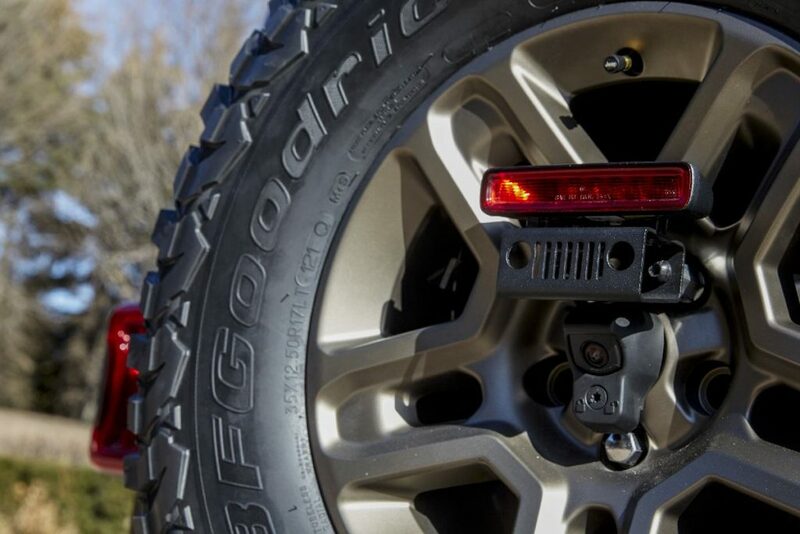 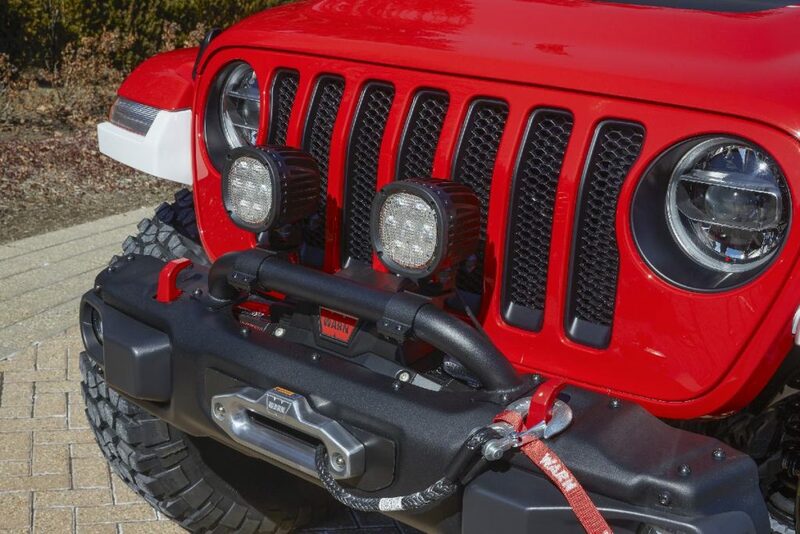 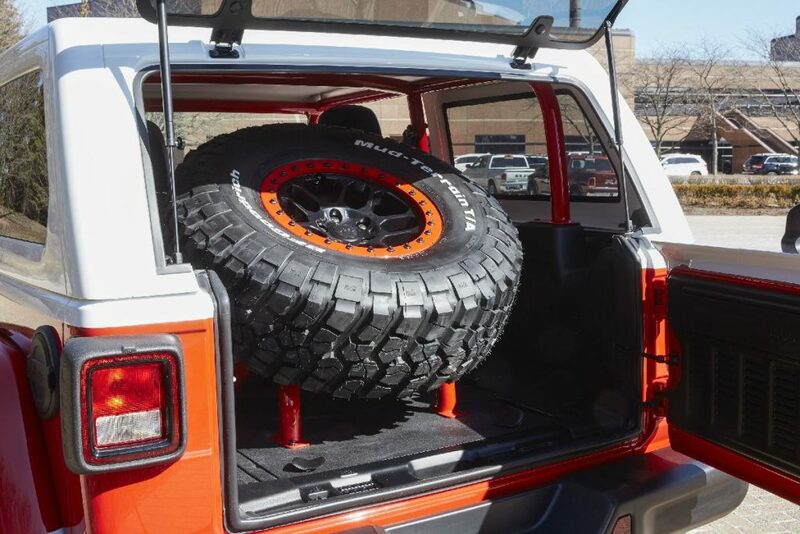 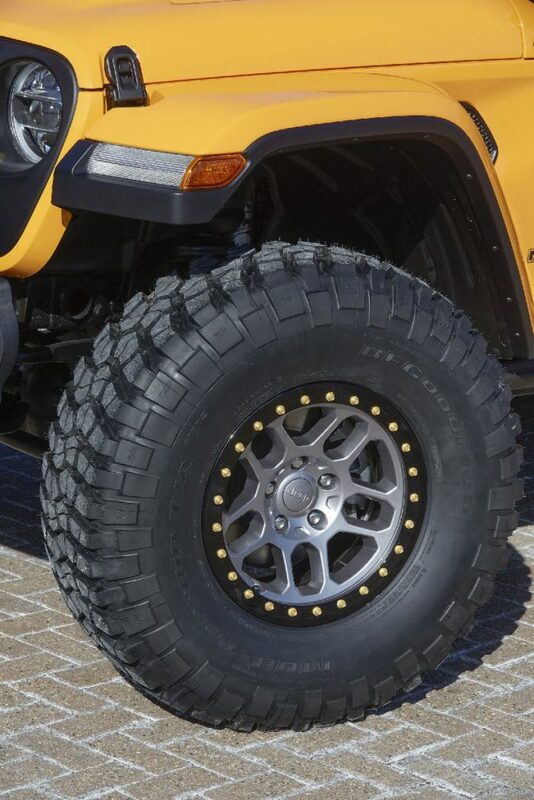 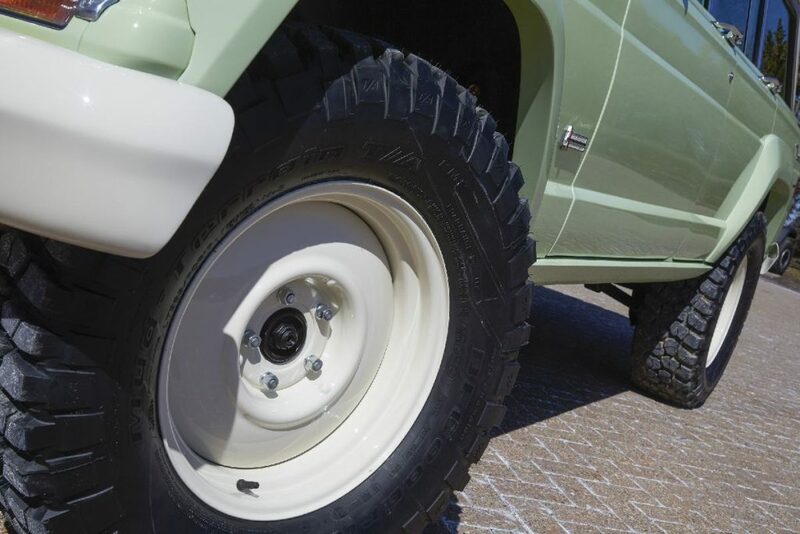 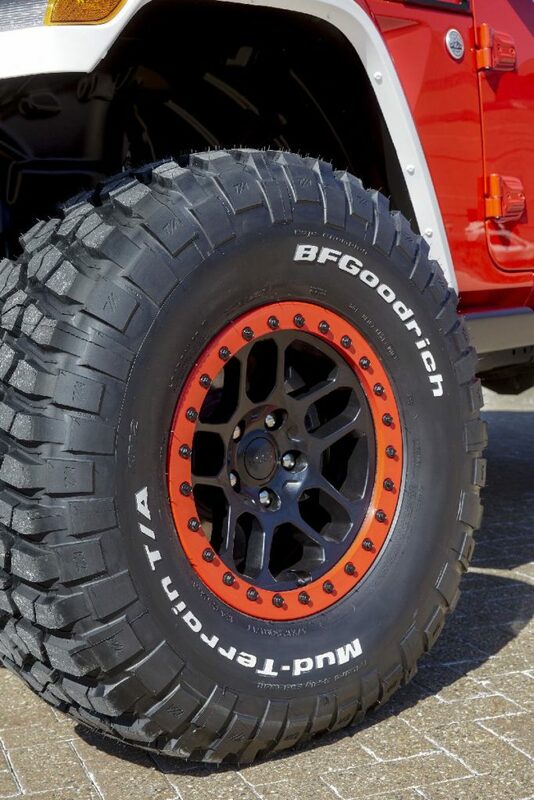 A spare 35-inch KM3 BF Goodrich tire mounts to the spare tire tailgate hinge reinforcement, and includes the JPP Center High-Mount Stop Light (CHMSL) light relocation kit.